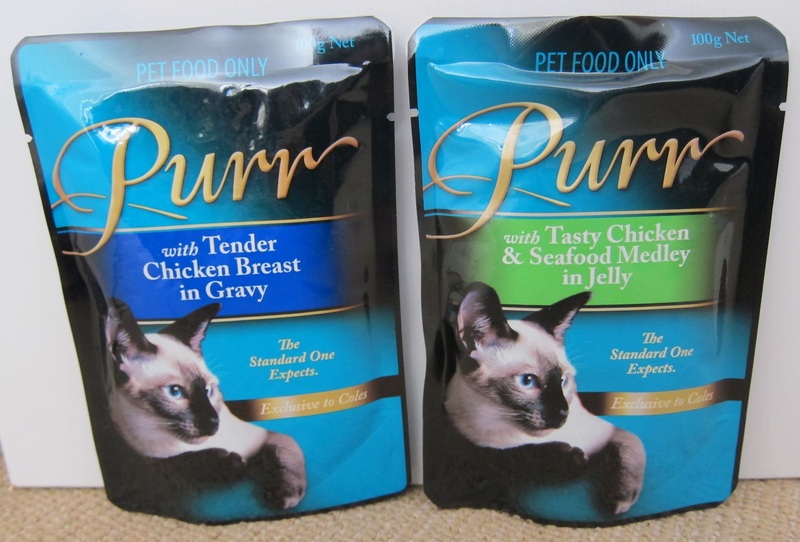 Which is the best food I can find here for my cat? 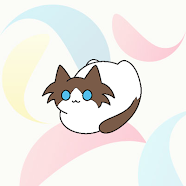 However, there are several constraints which I am bound by. 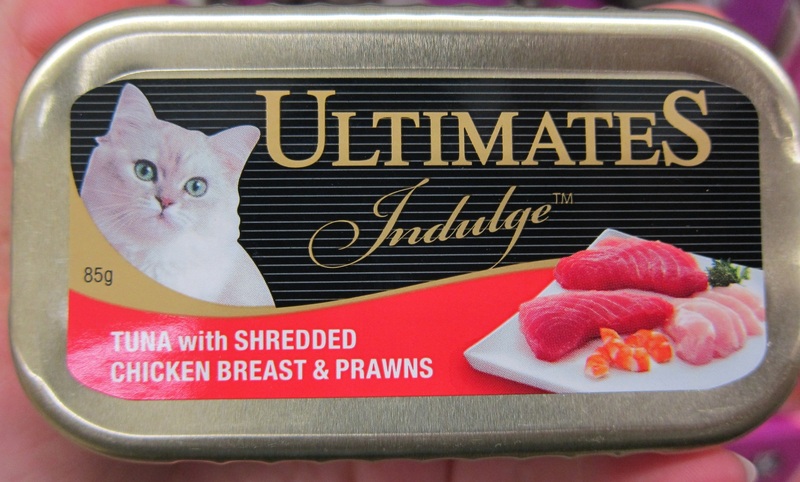 The most significant one is that, unfortunately, I am not made of money and do not have a car with which I can travel to a reputable pet store to buy a carton of ultra-premium brand cat food. 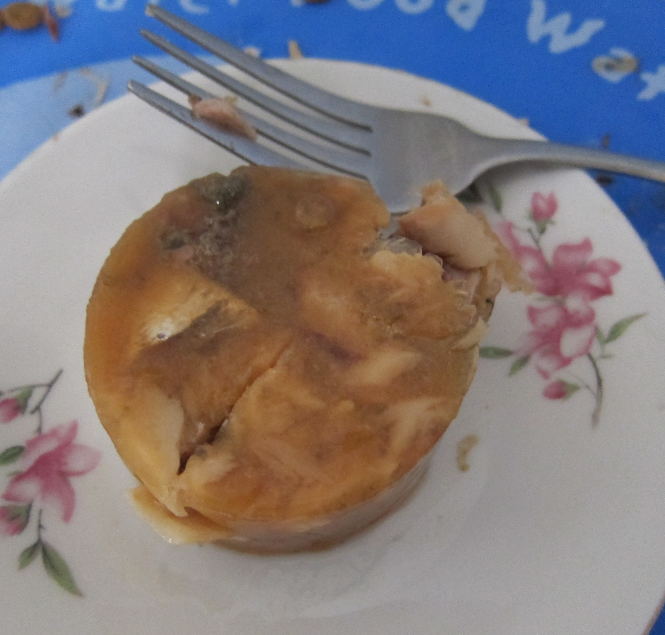 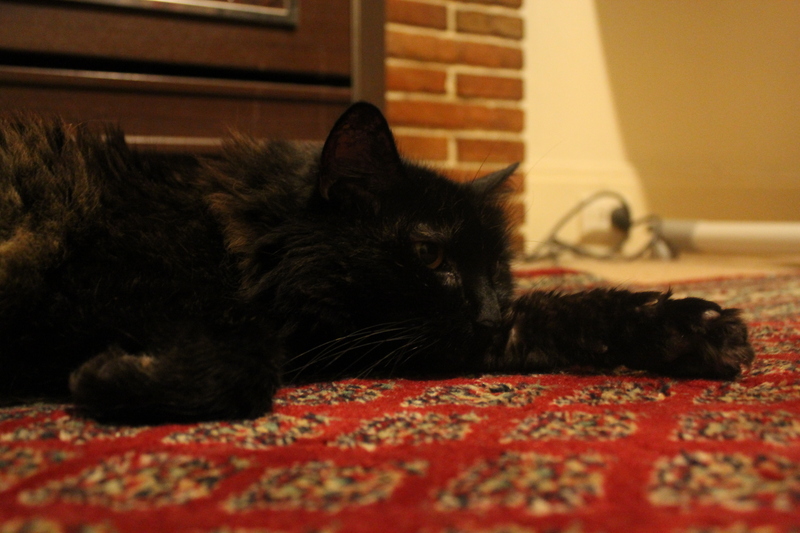 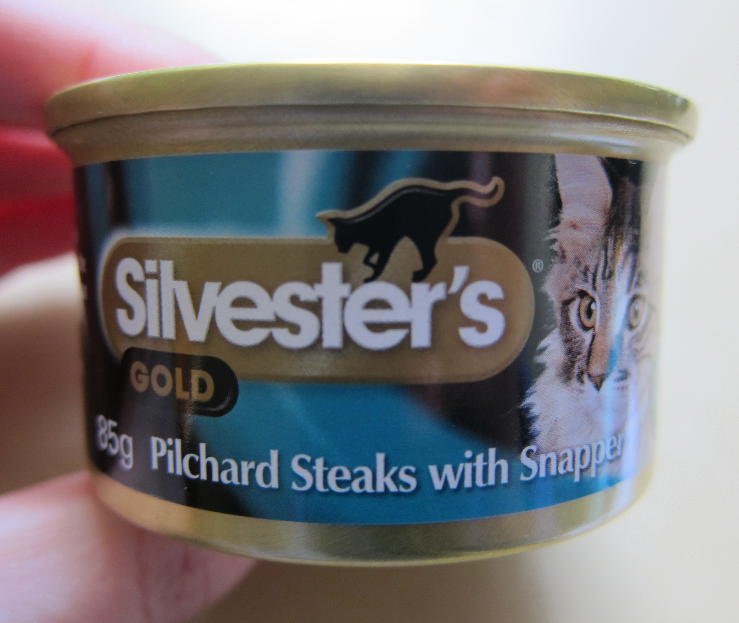 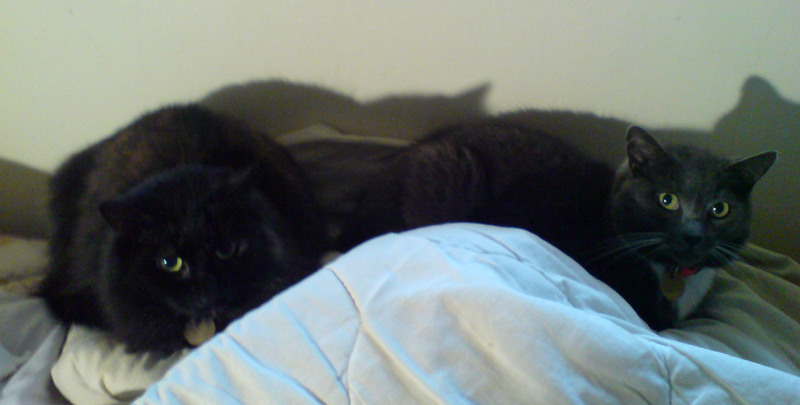 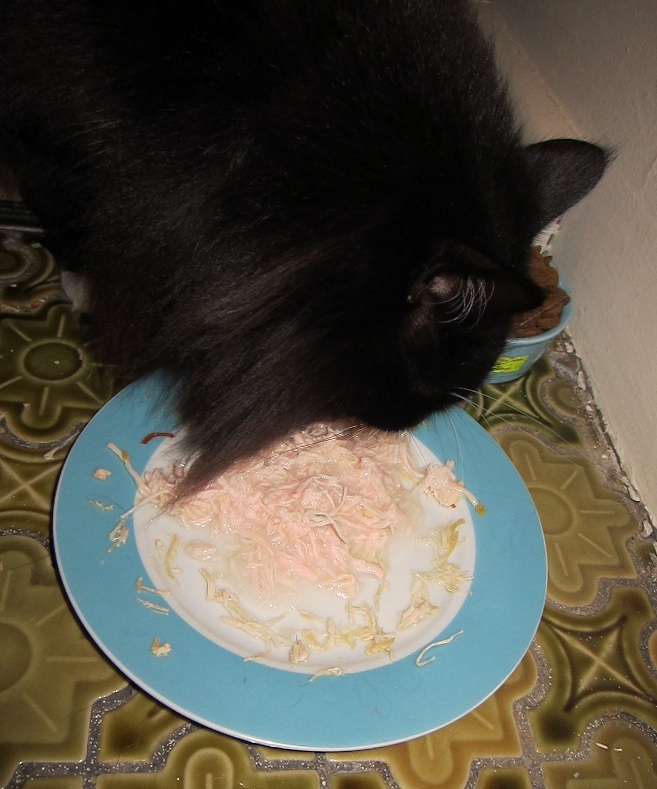 I do know that the best food for my cat is probably what it would ordinarily be eating in a natural habitat: Raw meat. 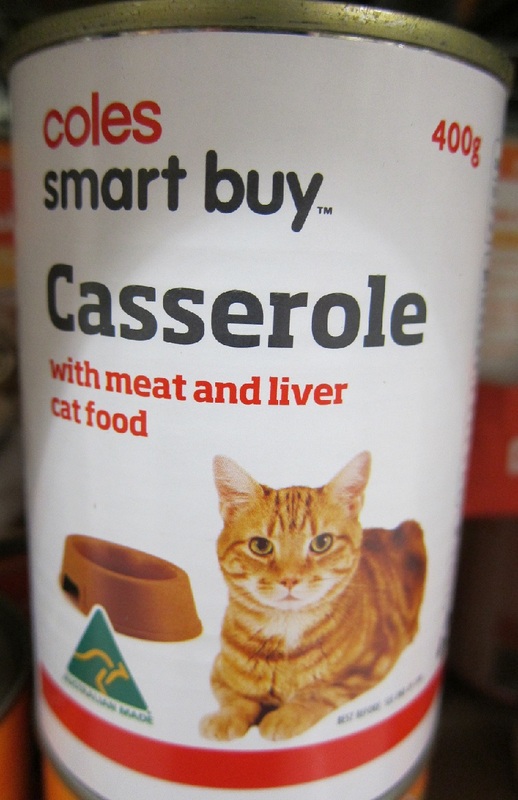 A cat has a different diet to a human, with the major difference being that it is an obligate carnivore. 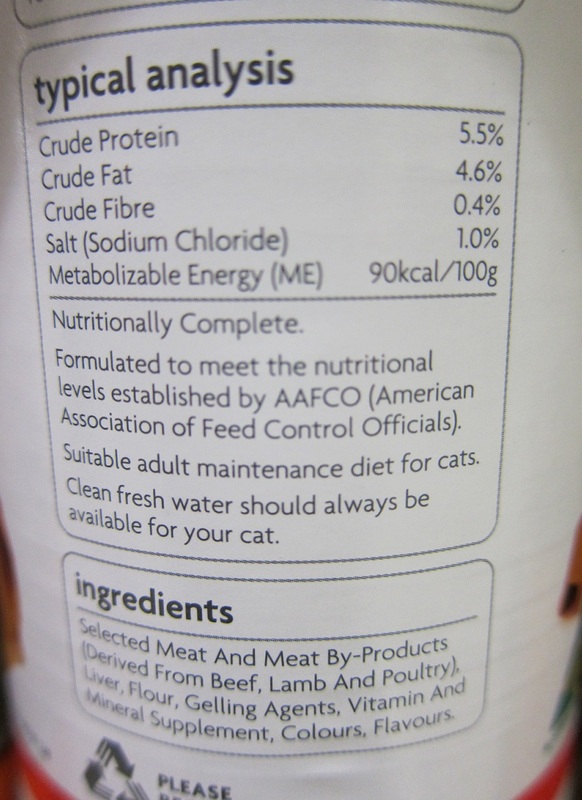 So, a cat must ideally have a diet consisting of quality meat to extract all the protein, fat and other nutrients it needs to function. 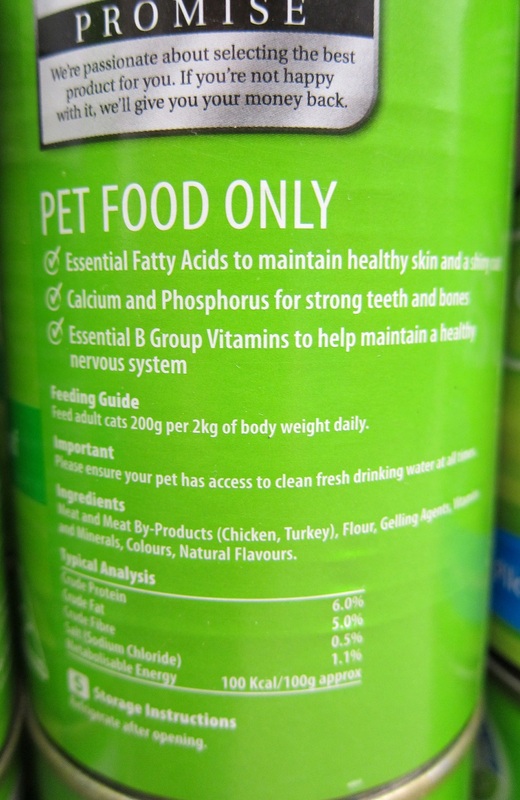 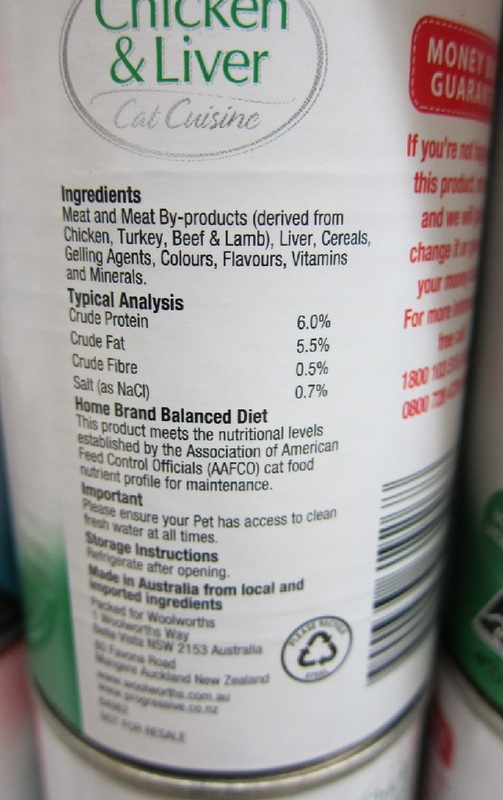 If you do a bit of research into commercial pet food, you will quickly realise that a lot of it consists of reject ingredients. 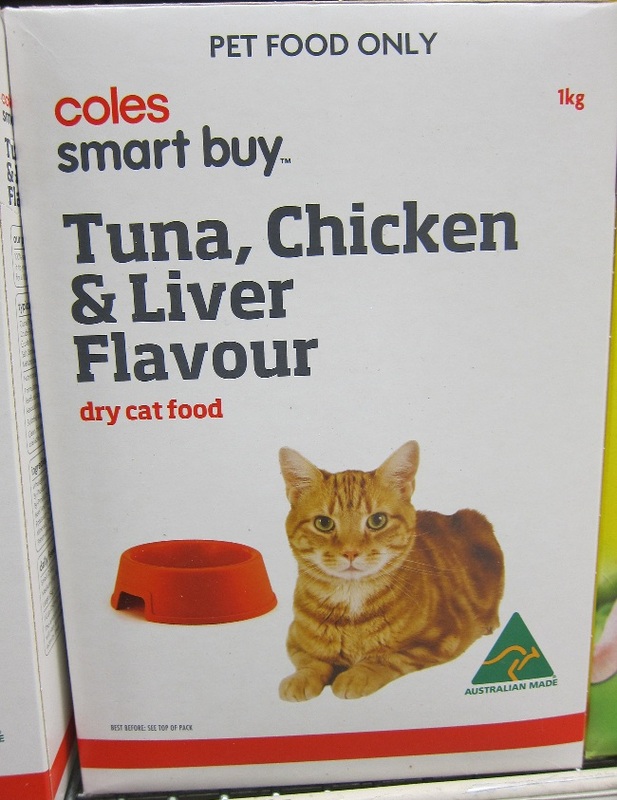 This is particularly true of the budget brands you can commonly find at local supermarkets. 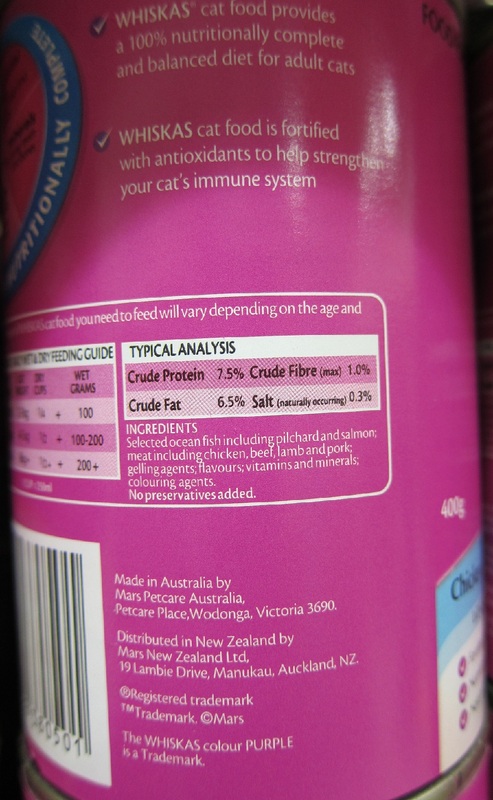 - The industry is poorly regulated, if at all. 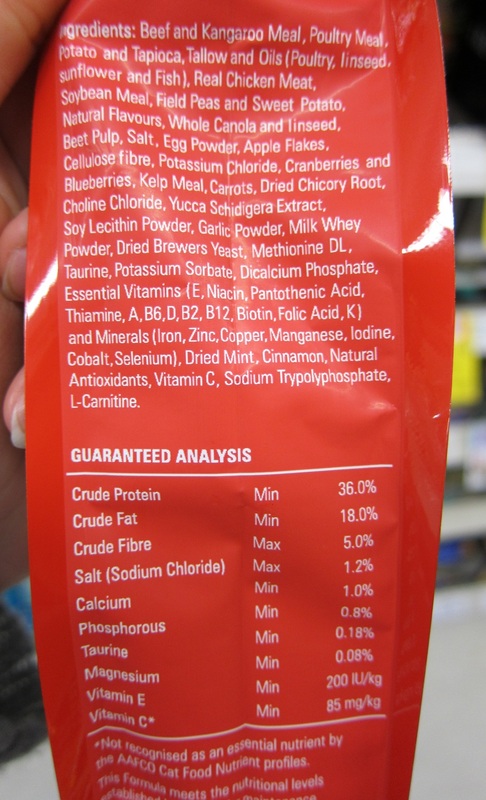 - The food itself is often filled with unnecessary or harmful fillers and chemicals. 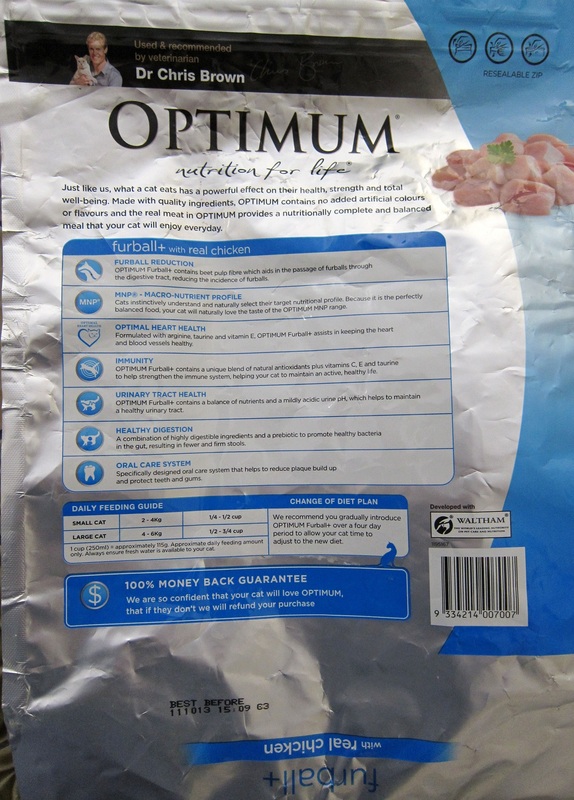 - The quality of meat contained in pet food is very questionable, and includes slaughterhouse waste and leftover animal parts which are unfit for human consumption. 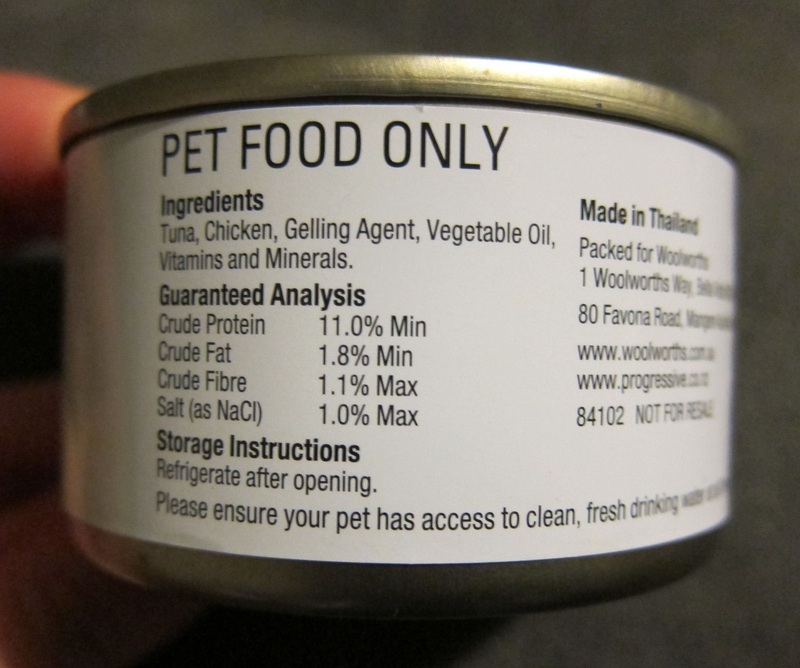 Some claim that it may also contain the bodies of euthanized pets and diseased animals. 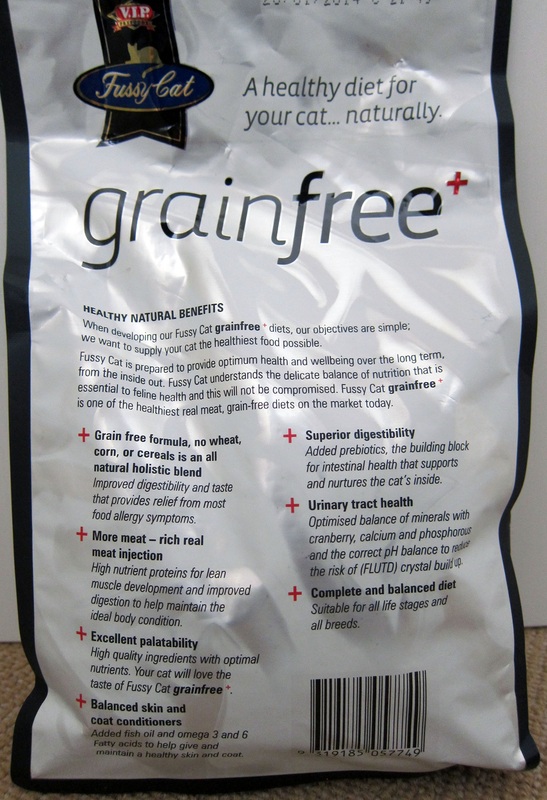 - Corn, cereal and wheat ingredients are included as cheap filler substances. 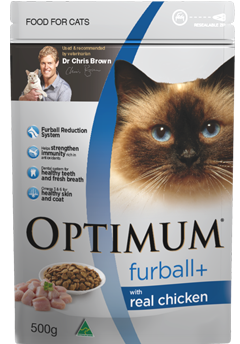 Cats do not require these fillers, and they may be detrimental to their health. 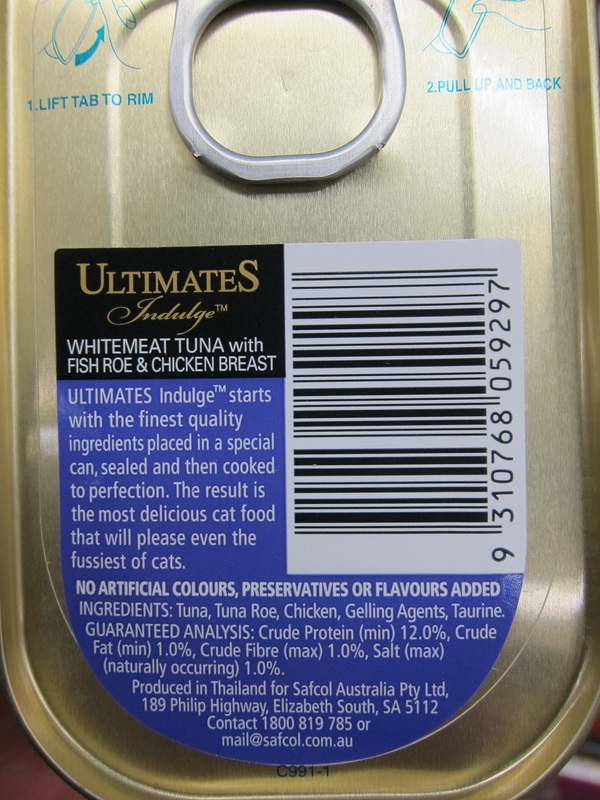 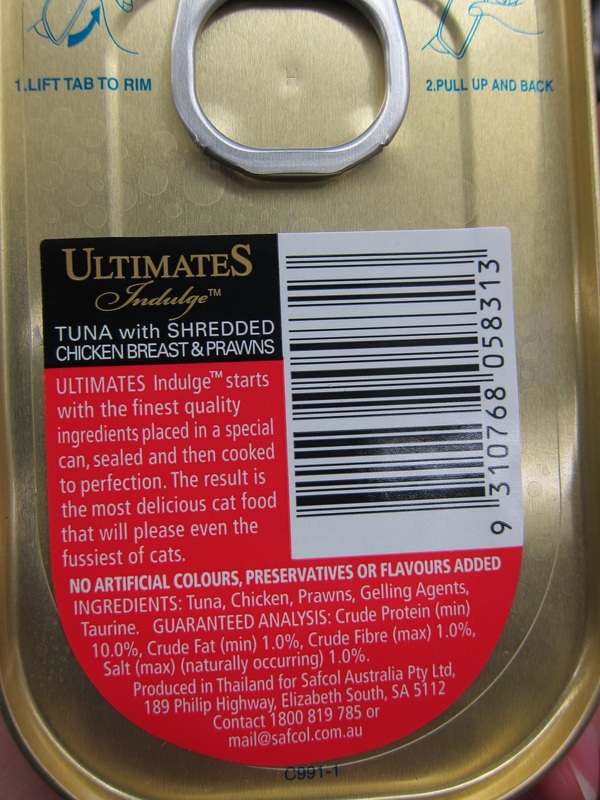 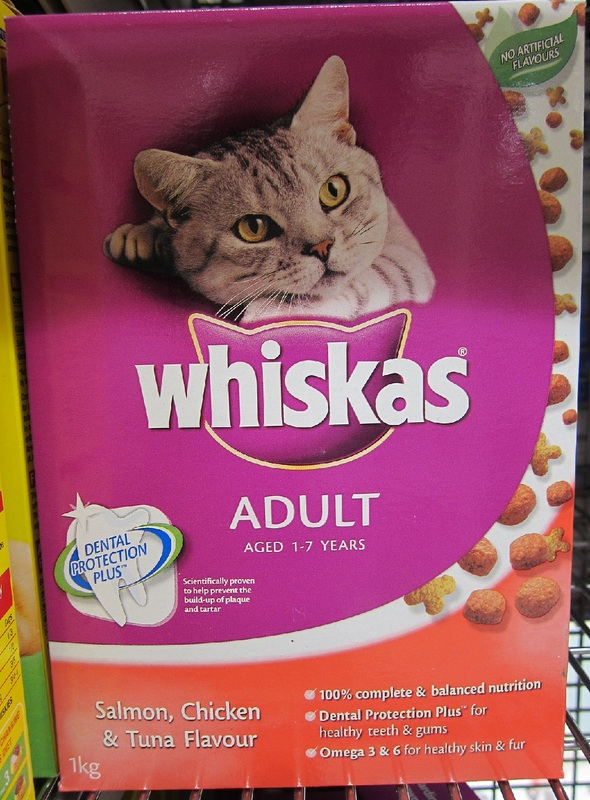 The most tragic aspect of inspecting supermarket brands to me is the fact that there are so many cat owners trying to make a good choice for their cat, but instead making a bad one. 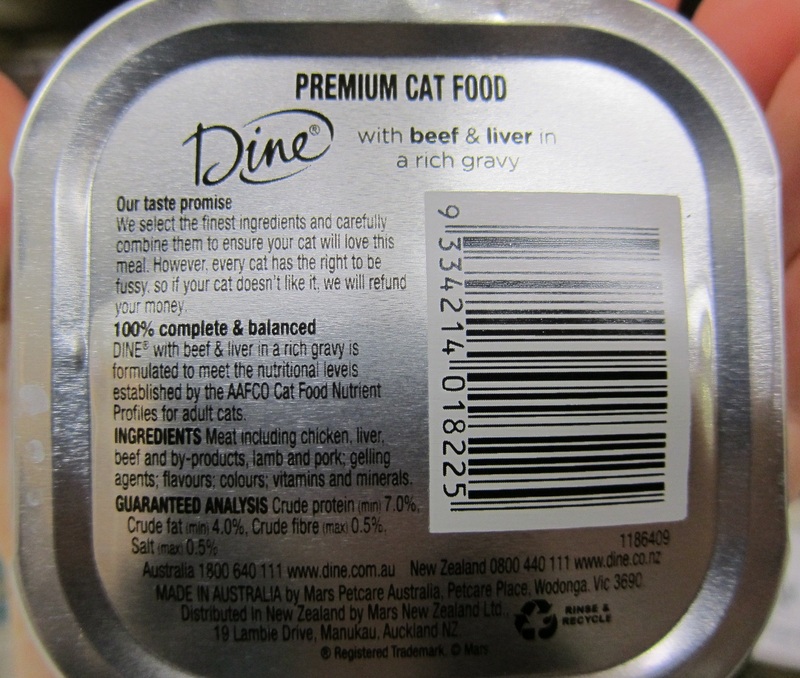 I have seen several customers pick up an expensive premium food over double the cost of a budget brand, and yet the first ingredient listed on the label still reads “meat by-products”. 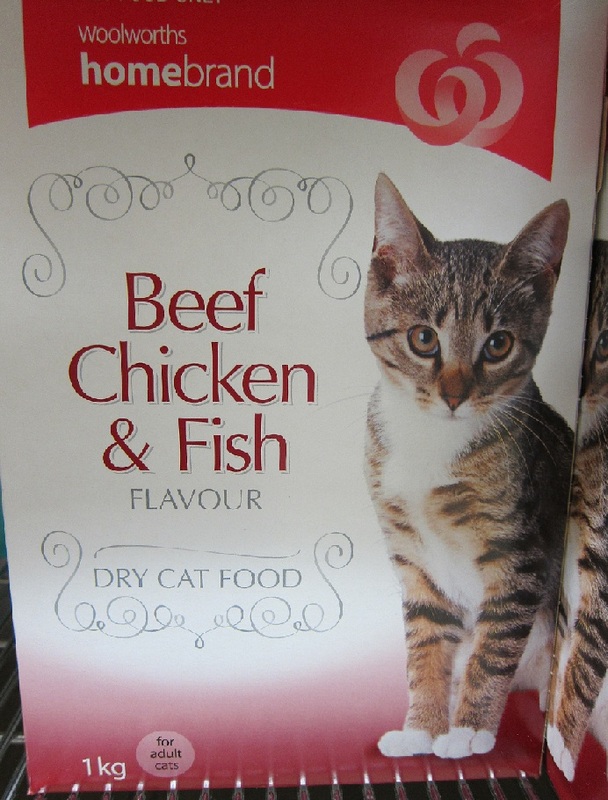 Sadly, I don’t think pet food manufacturers are going to change the way they produce their foods. 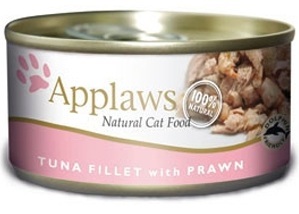 Their job seems to end at slapping on an AAFCO nutritionally complete stamp and making a decent profit. 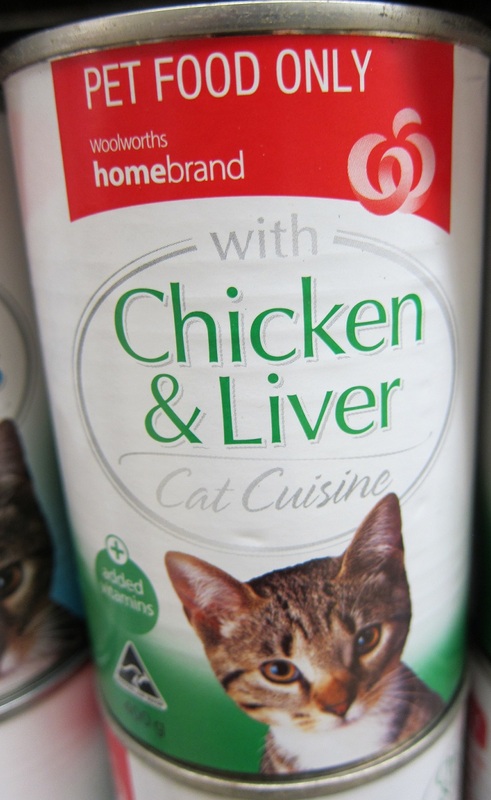 They aren’t there to care about the welfare of animals who consume their substandard products. 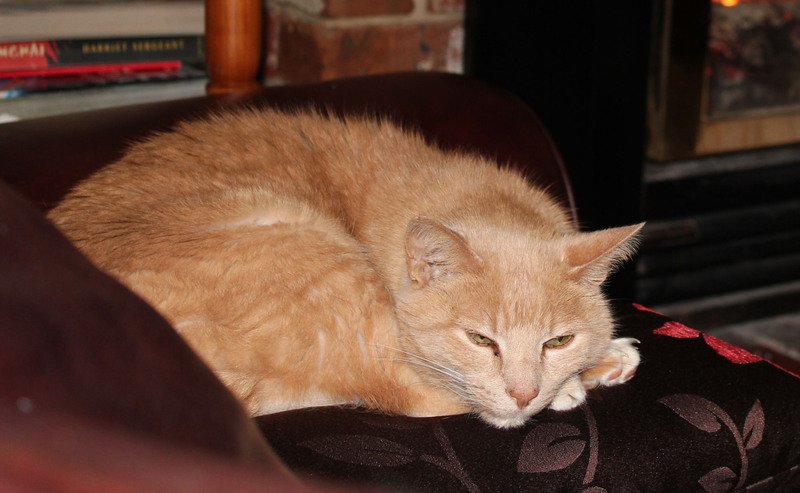 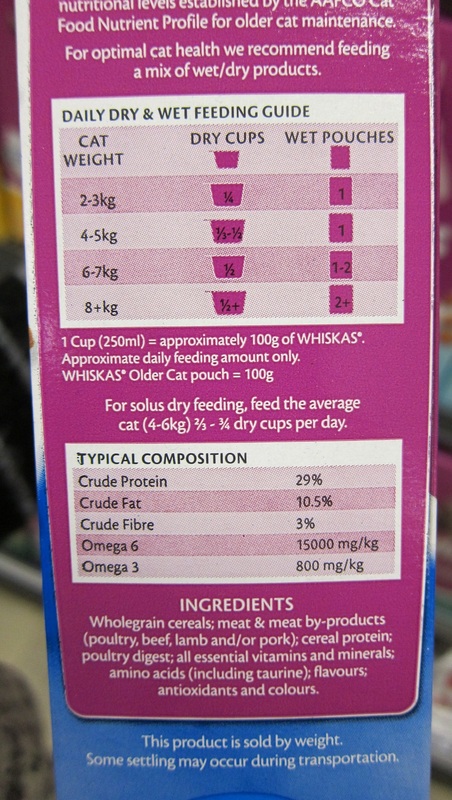 But despite being fed on cheaper pet food such as Whiskas, I know several domestic cats which have lived long and good lives. 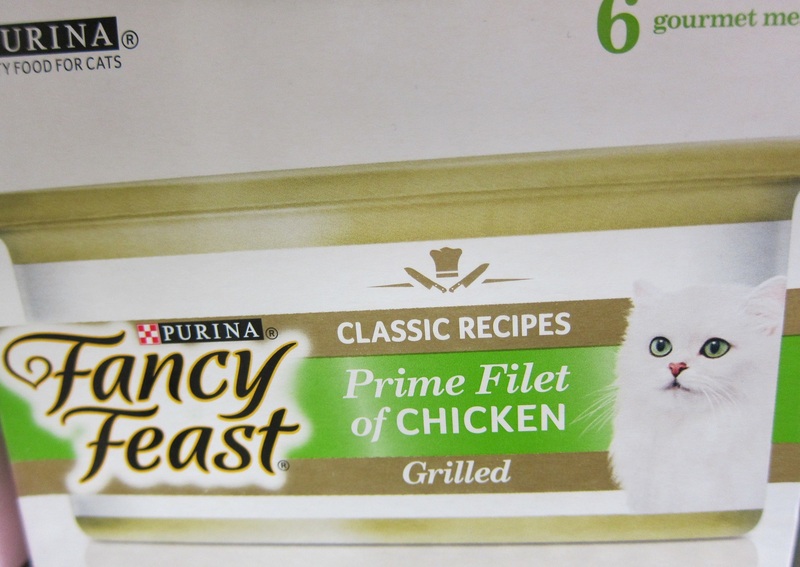 These cats were all non-pedigree, allowed to freely go outside and were occasionally fed leftover meat from the dinner table in addition to their commercial food. 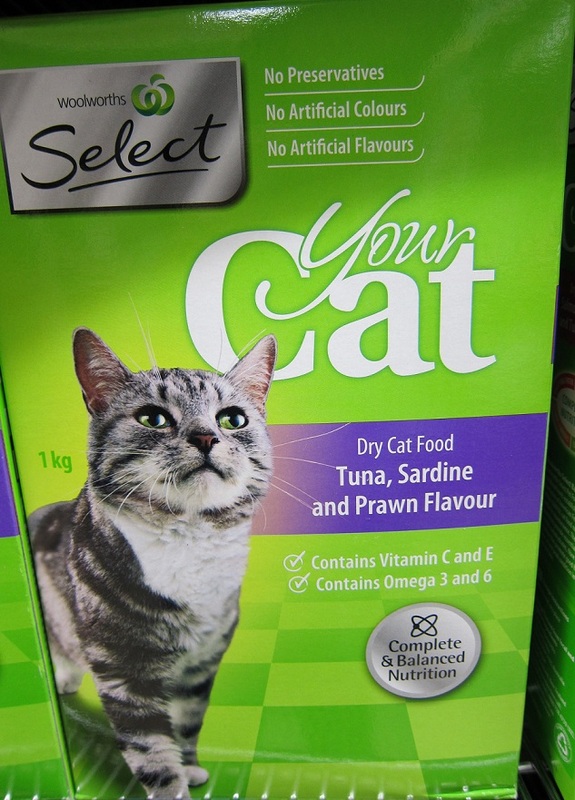 Given that we only have access to local supermarkets, we can still at least choose wisely between the products that are on offer. 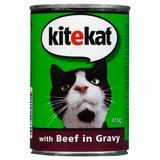 In a perfect world, we would be feeding our cats pure raw meat, but we need to work with what we can get for now. 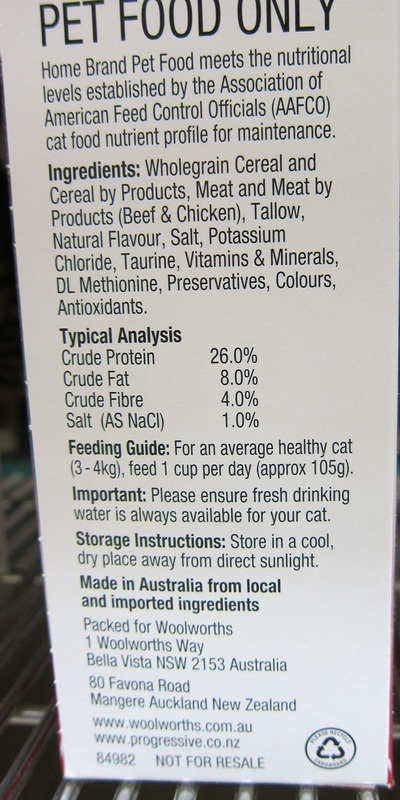 Remember that a cat should be primarily eating meat, and that means we want a product with a high protein percentage, preferably from a named source. 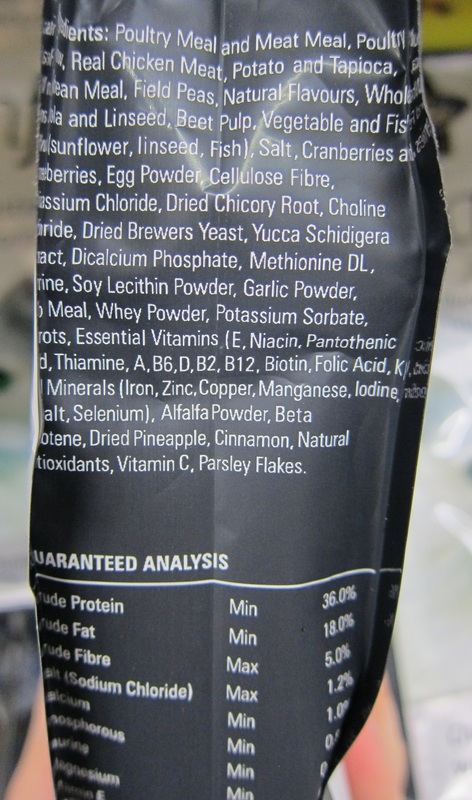 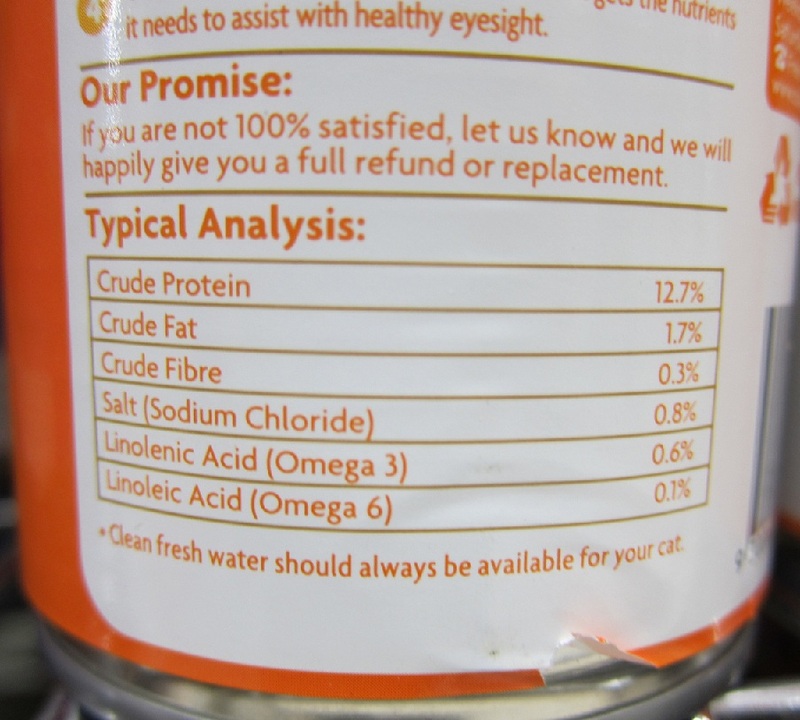 To get an idea of the quality of this protein, we study the list of ingredients. 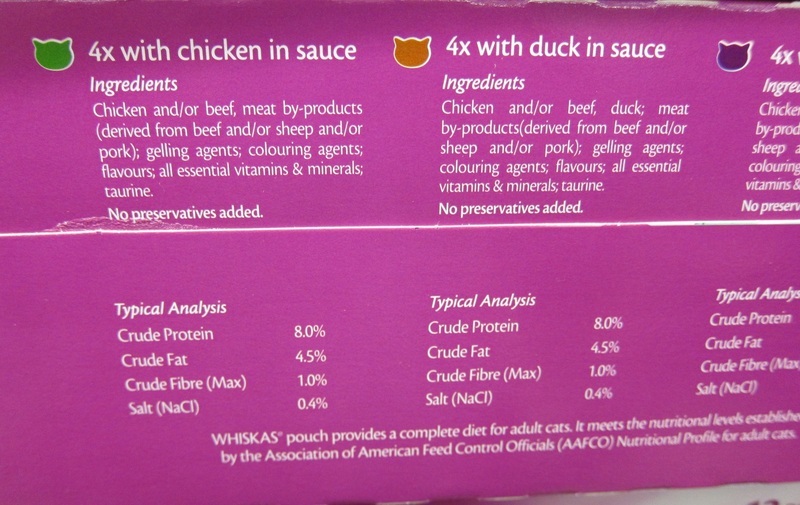 The order of the ingredients is always listed on the food label by greatest to least quantity. 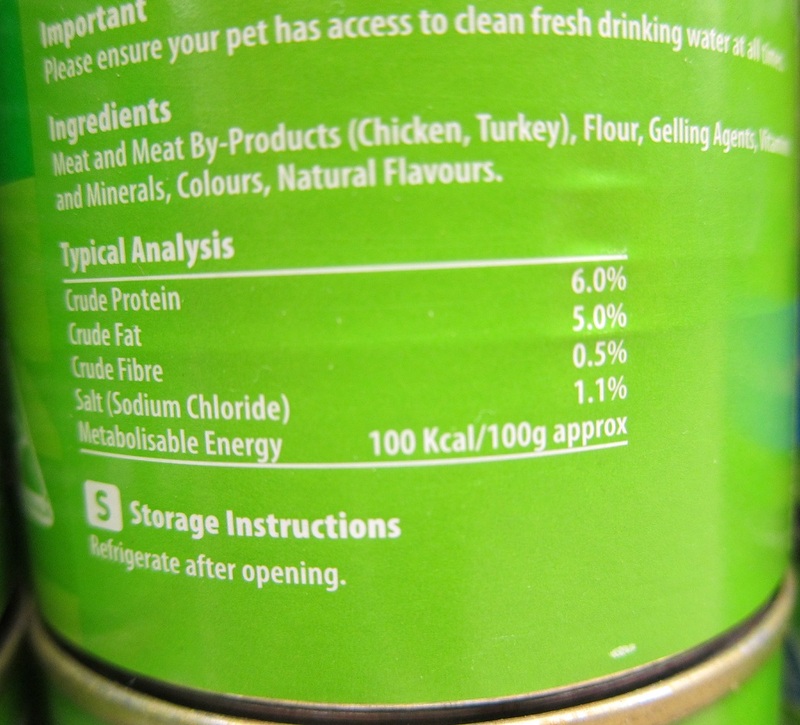 The first ingredient mentioned will be what the largest percentage of the food consists of. 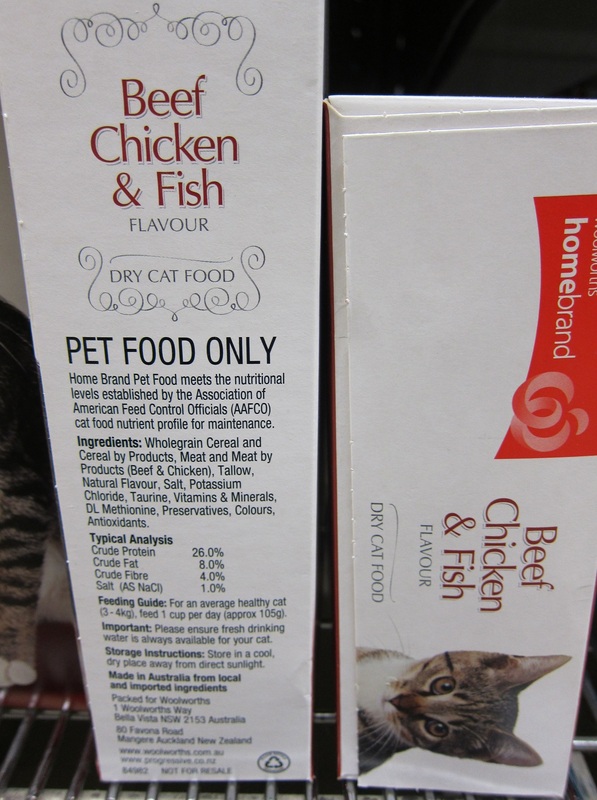 Therefore, what we want to see on the label is a named meat as the first listed ingredient, such as whole chicken or fish. 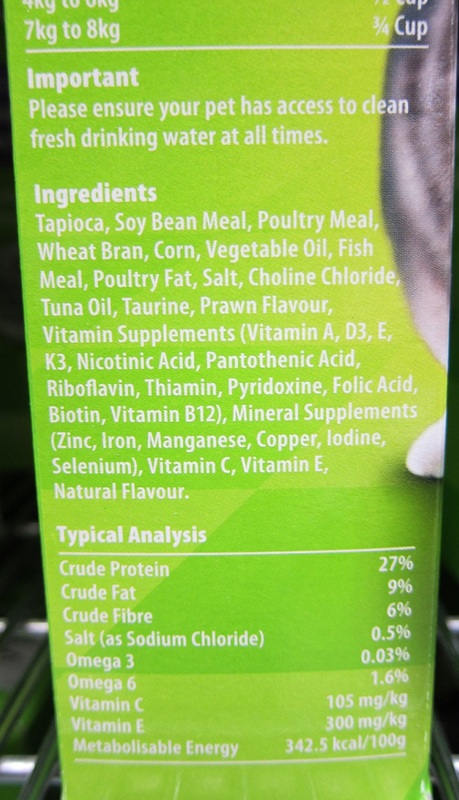 Try to avoid brands which list a non-meat ingredient first (such as cereal protein, corn or rice). 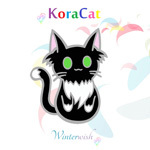 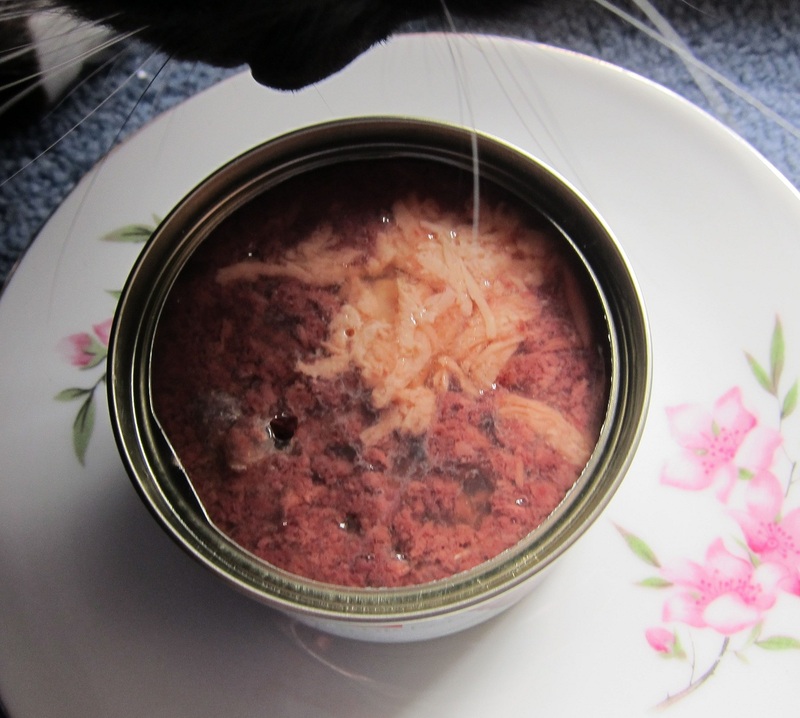 A few weeks ago, Kora Cat decided she would no longer touch Fussy Cat brand wet food. 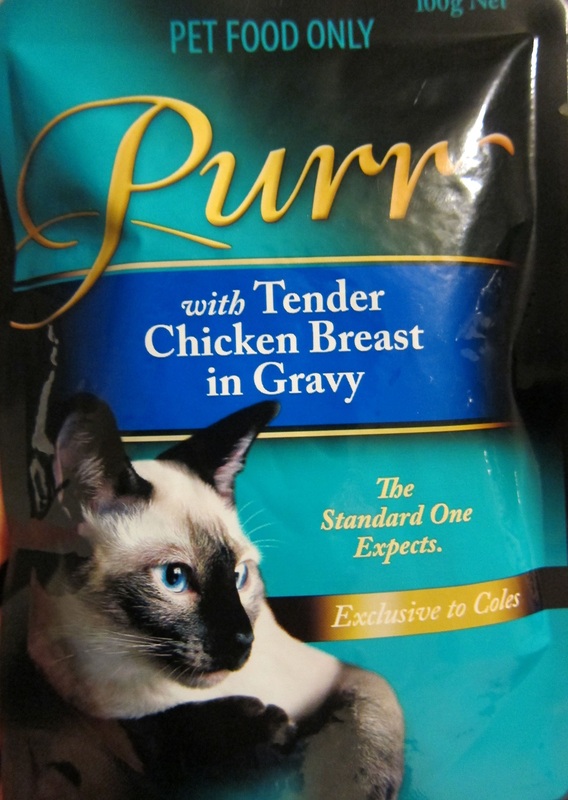 Was it a bad batch? 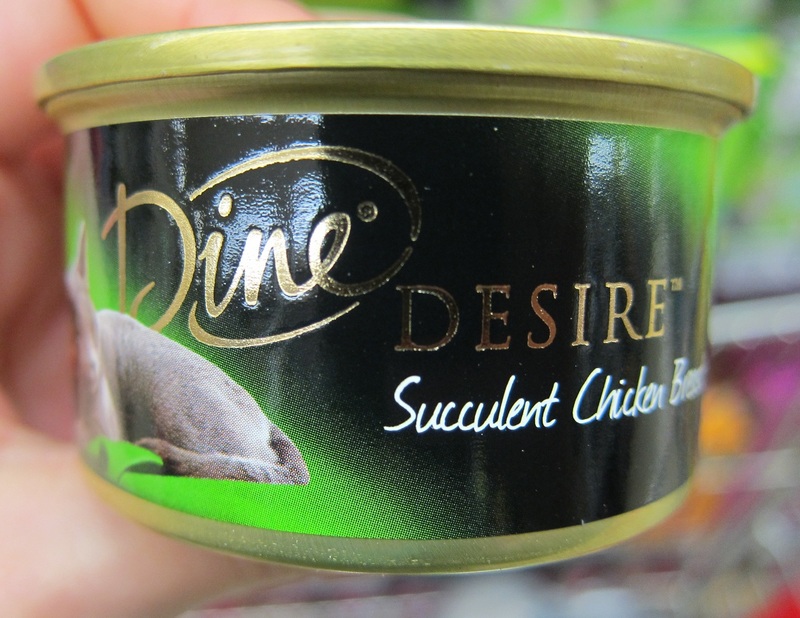 The recently acquired taste of actual chicken? 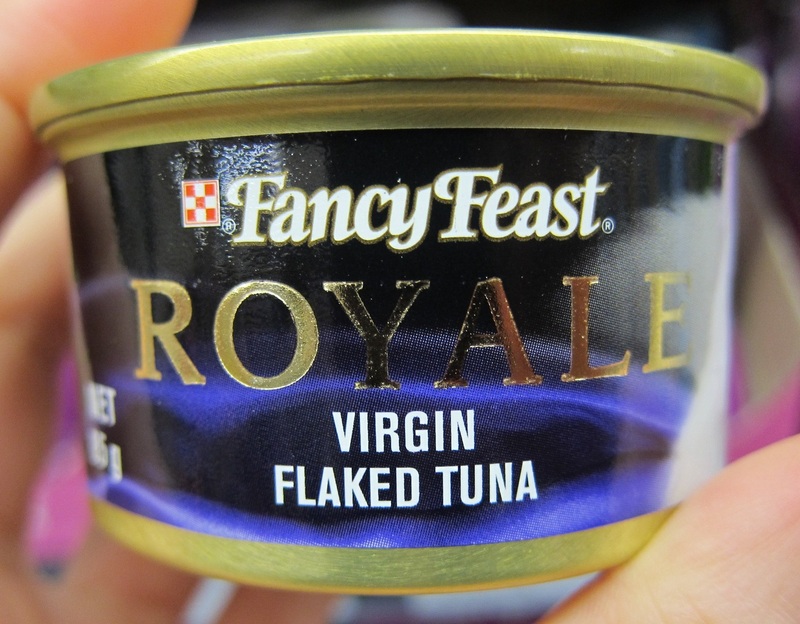 Newfound quality snobbery? 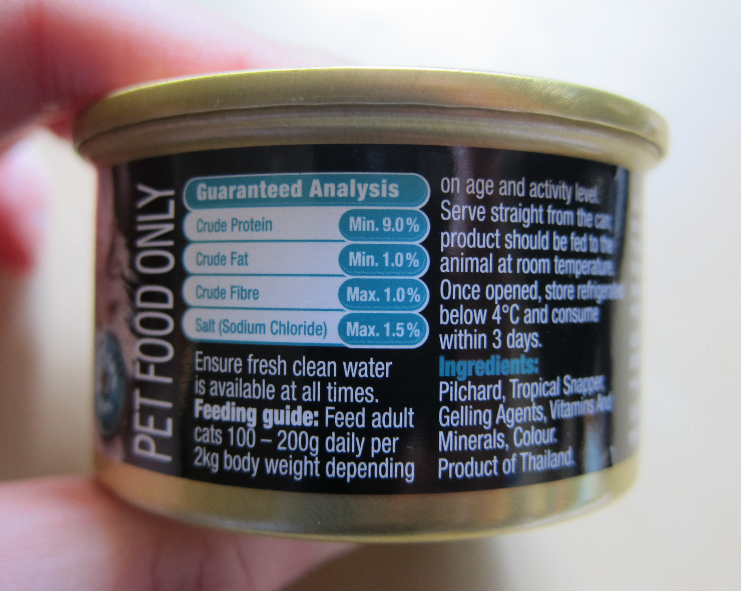 The protein content of this wet food is actually quite low by comparison. 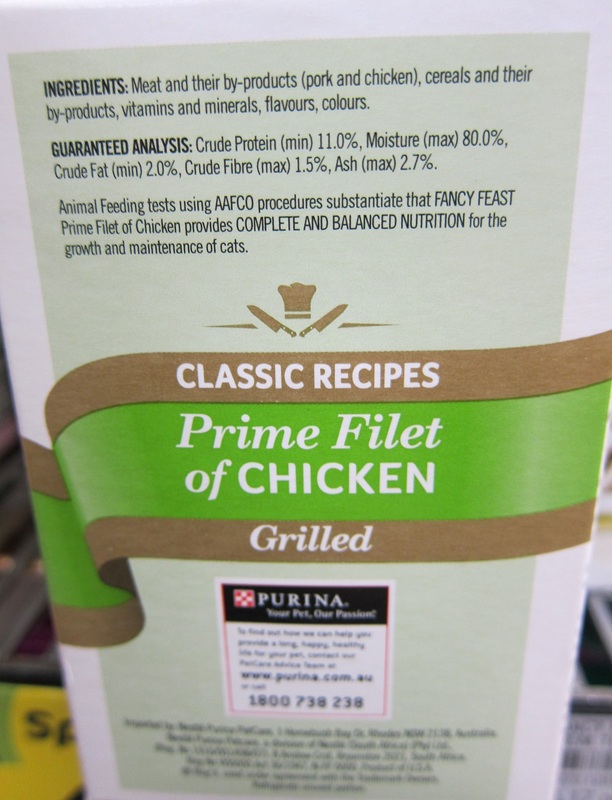 Whether it was lost through cooking processes or diluted by flour filler, we can’t really be sure. 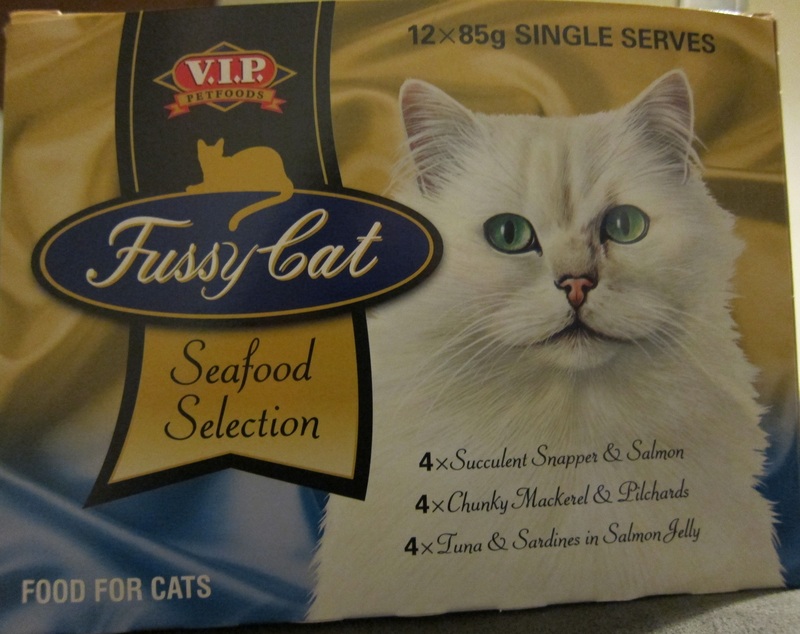 One of the fish flavoured pouches we opened also gave off a stench like rotting matter, and needless to say, the cat wouldn’t go anywhere near it. 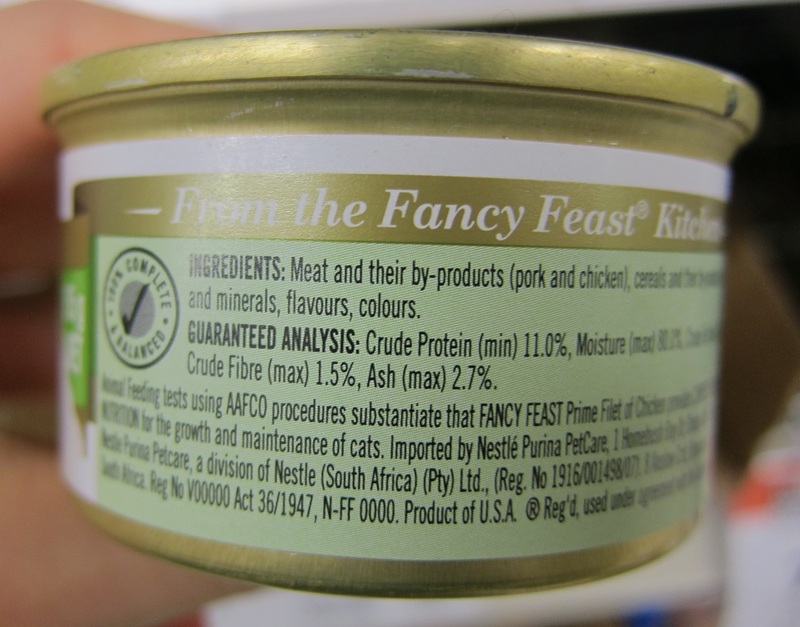 This particular brand of cat food appears to be the best we can find stocked at a major supermarket, being reasonably priced at 85 cents per serving. 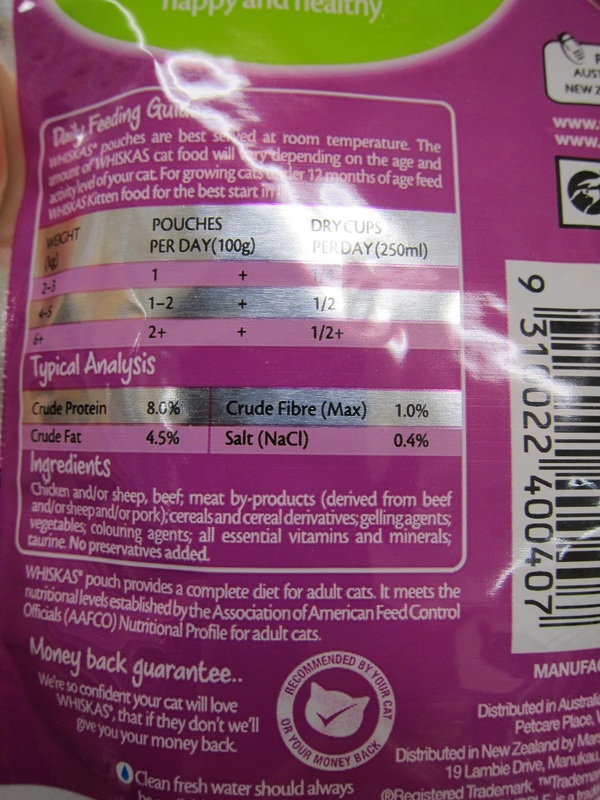 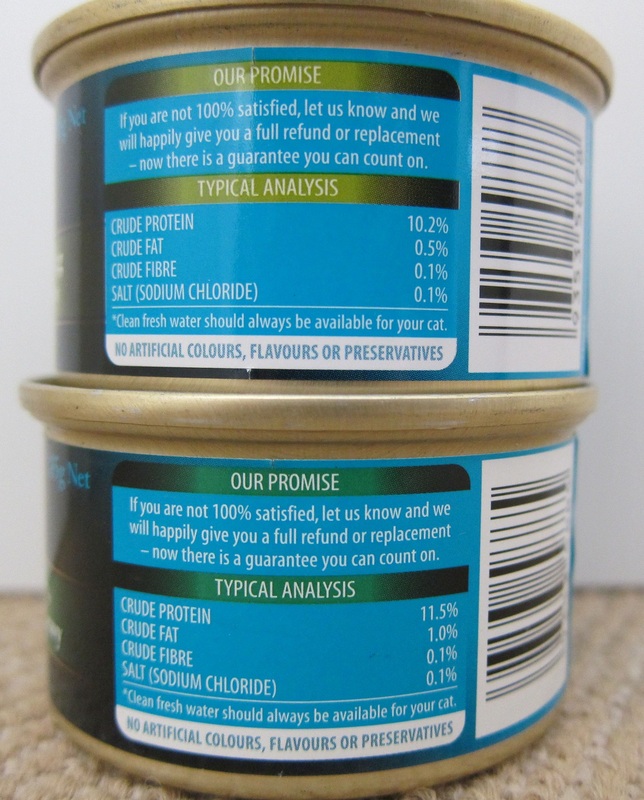 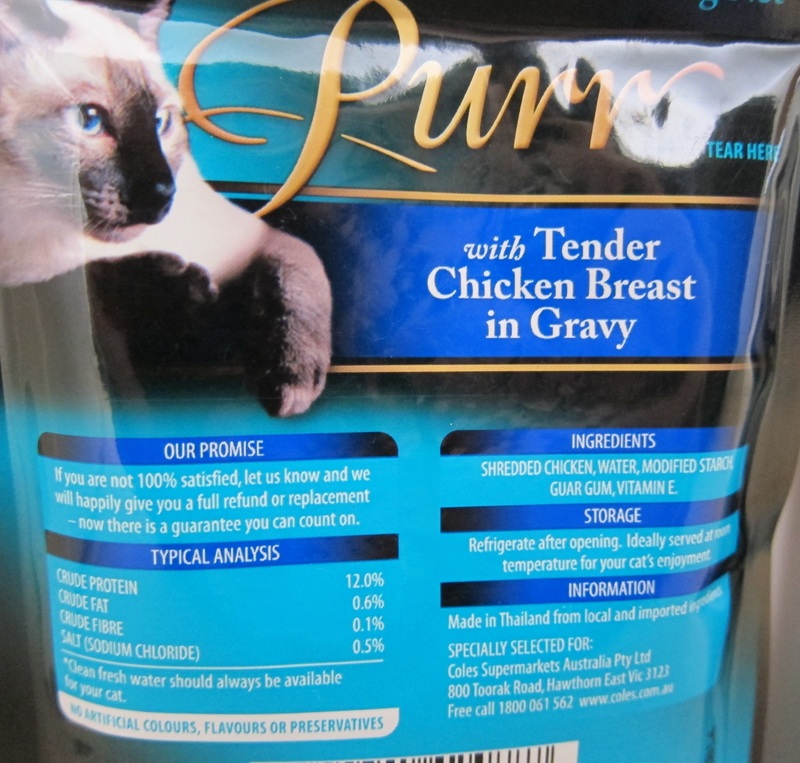 The protein content of Purr is at a more respectable 12%, and the pouch contents actually seem to resemble human grade meat quite closely. 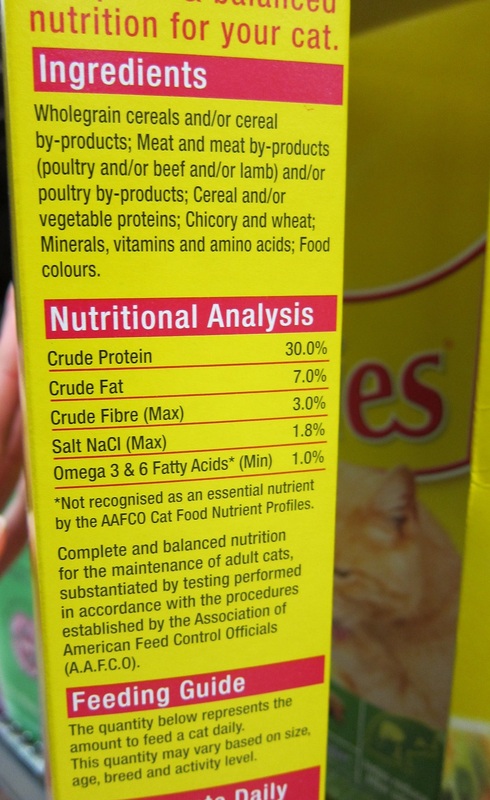 Our cat seems to have a good sense of which foods contain higher quality ingredients than others, which further helps us to choose between brands. 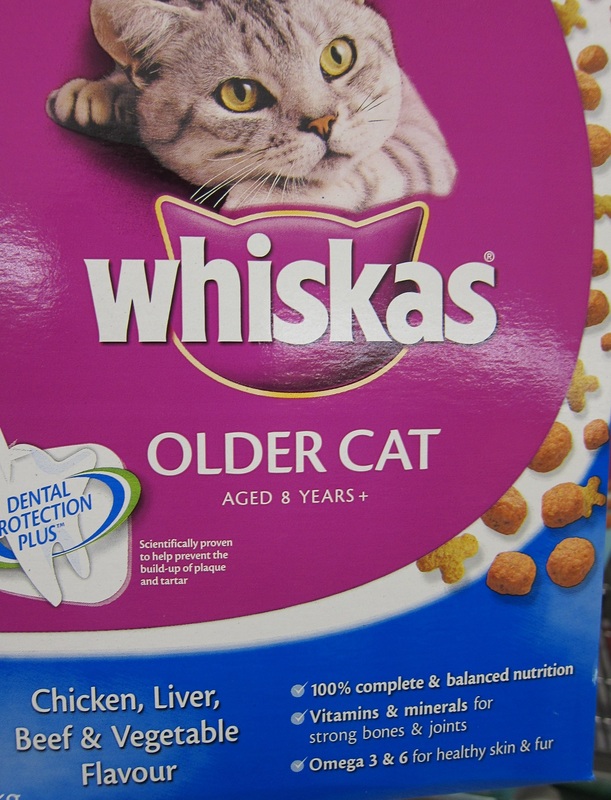 Once she knows what a decent brand tastes like, the inferior foods are completely ignored. 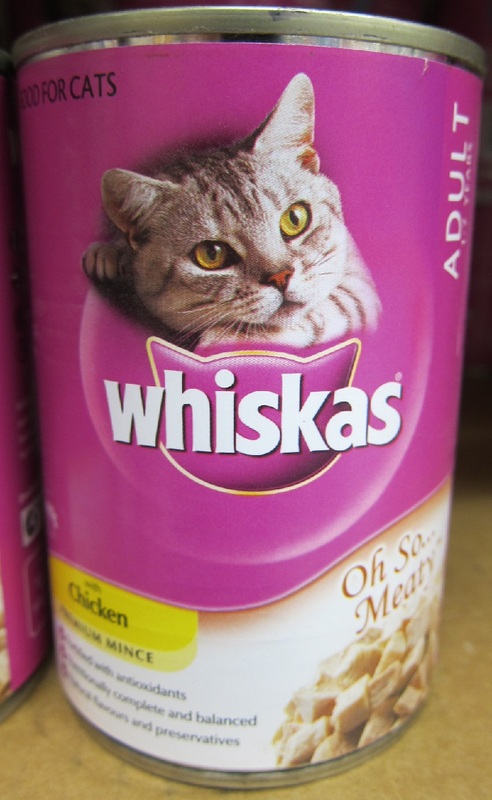 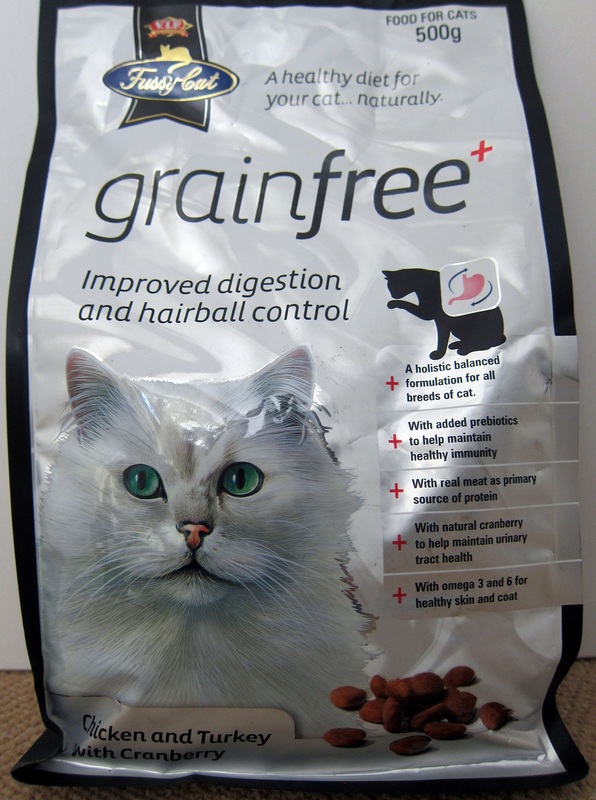 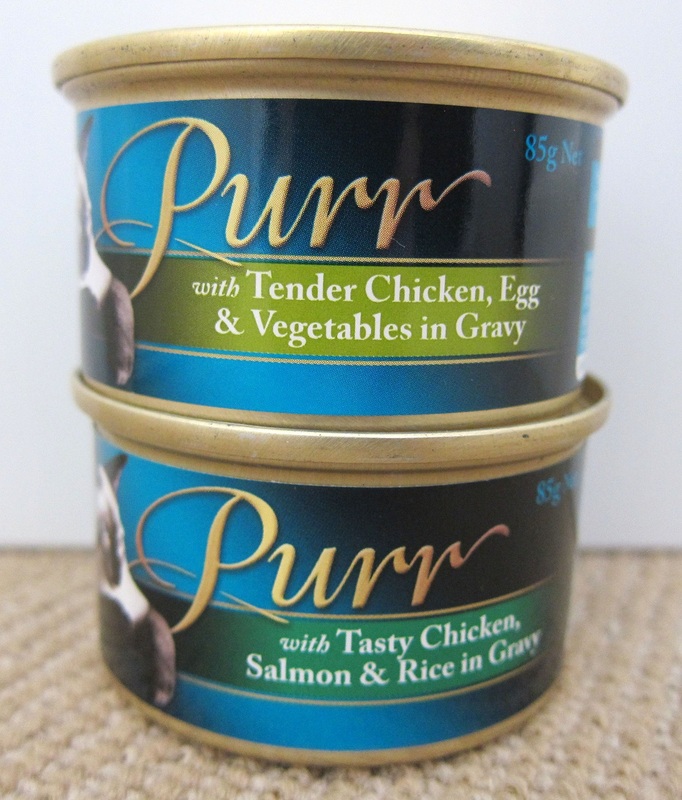 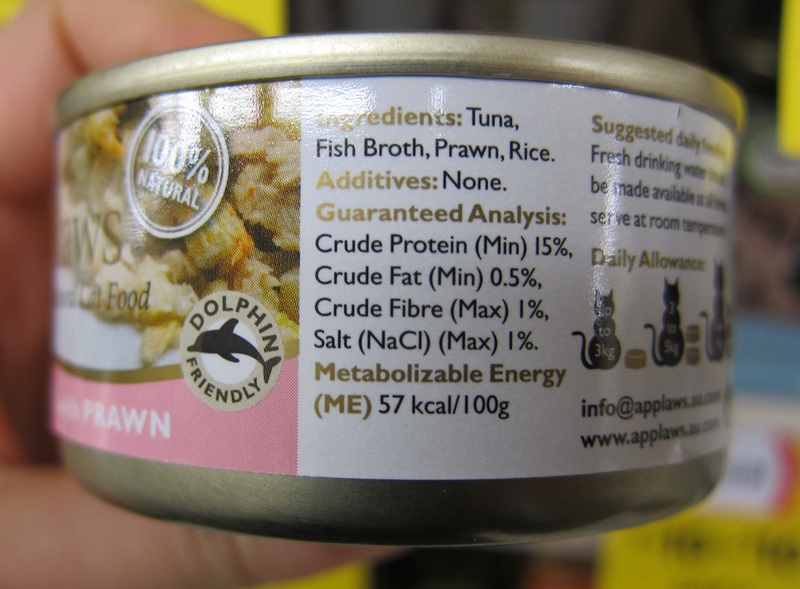 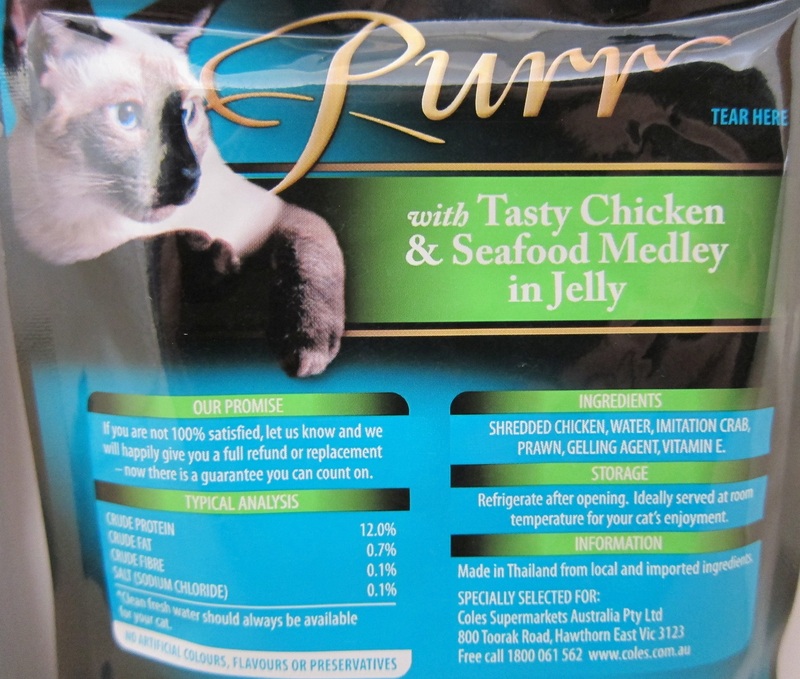 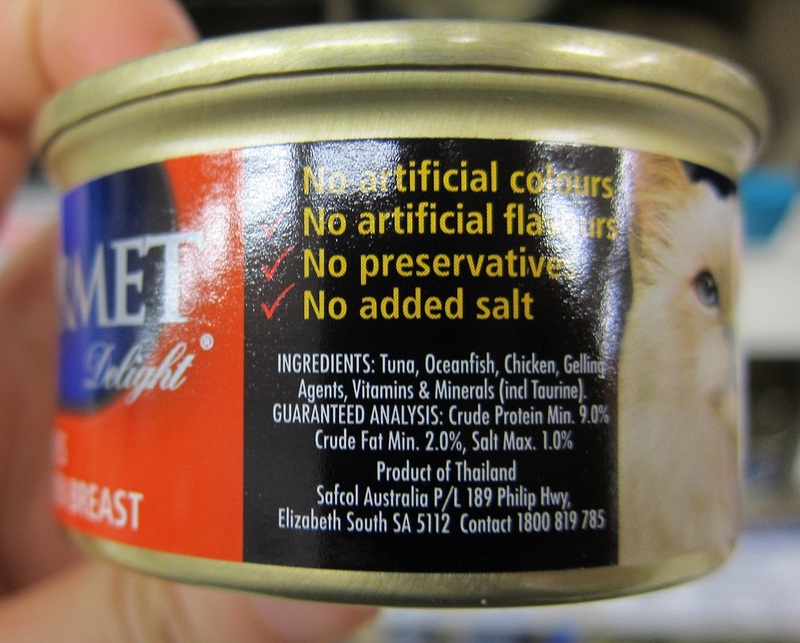 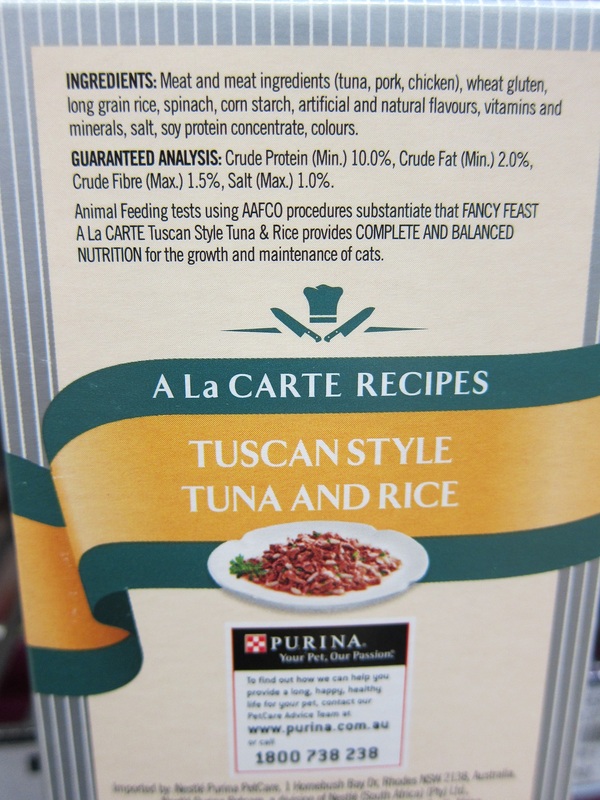 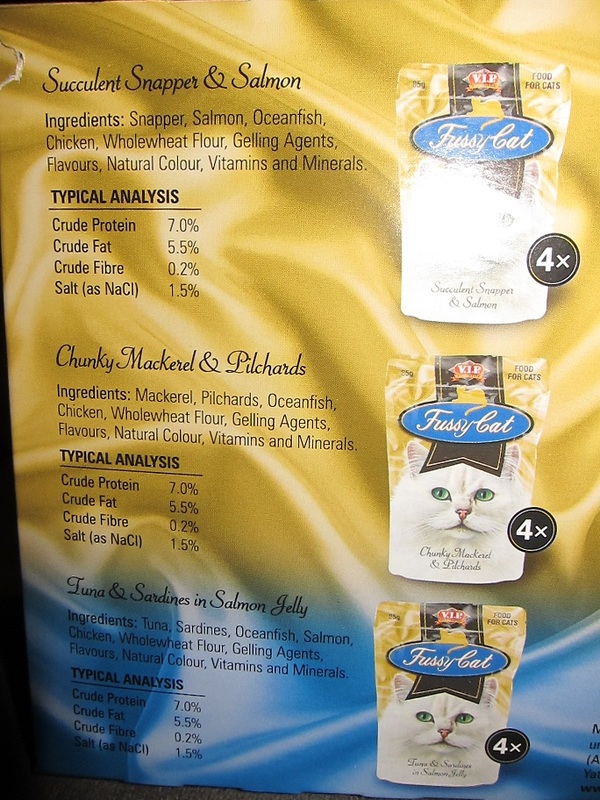 We have also tried other premium wet cat foods from different supermarkets, including Woolworths and Aldi. 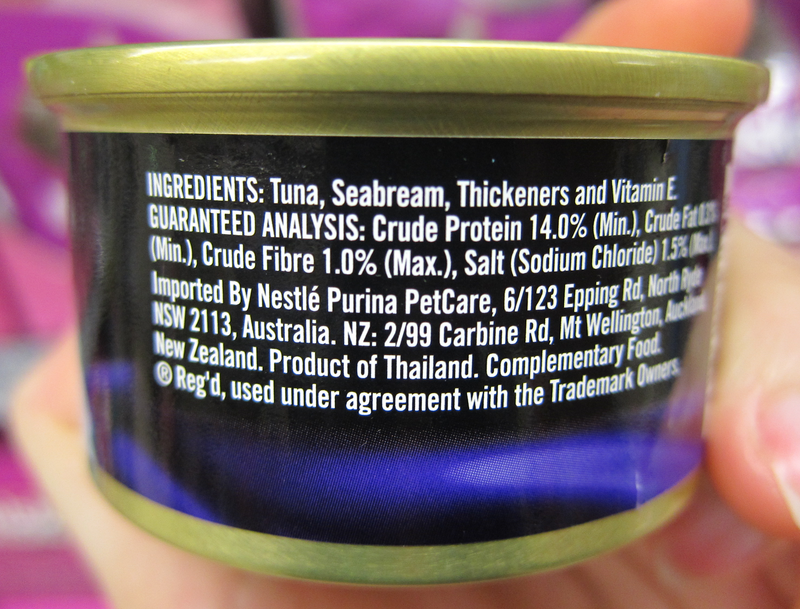 Both were also manufactured in Thailand with similar ingredients listed on the packaging. 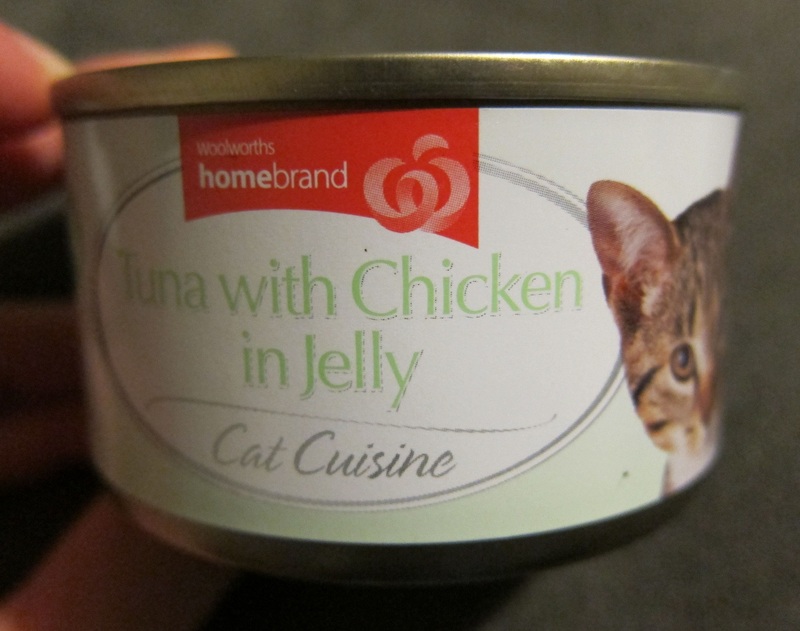 Kora Cat won’t eat the cans from Woolworths. 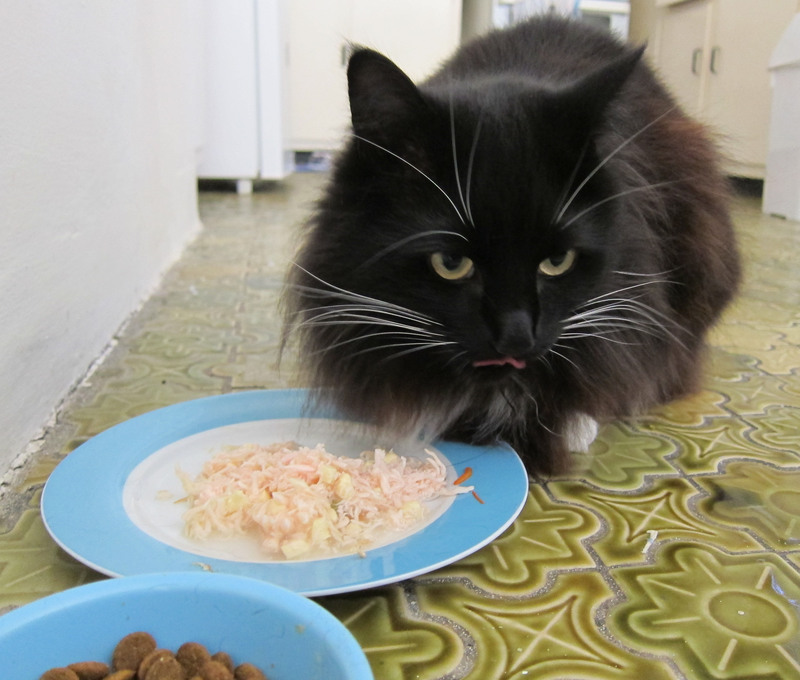 She did chew on a small portion once, but quickly lost interest. 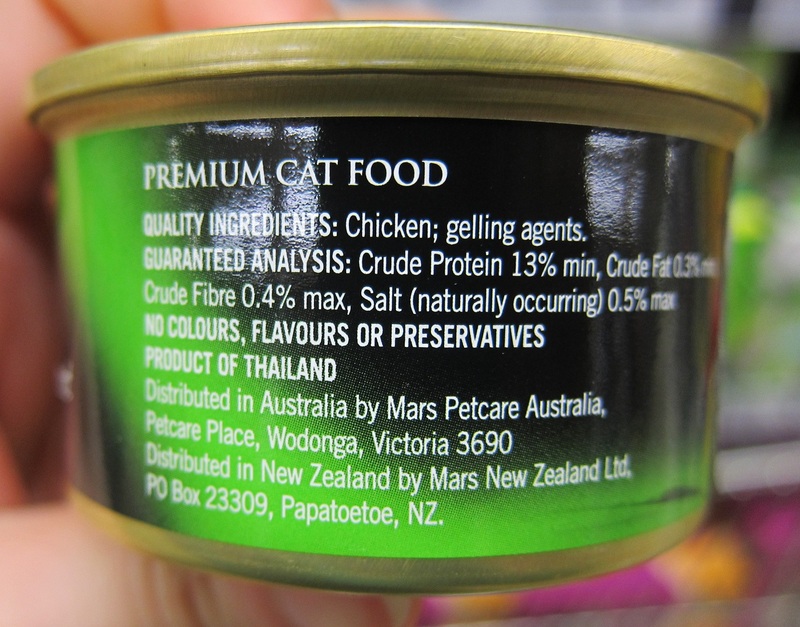 The ingredients seem okay, but the food itself looks a bit dodgy in person. 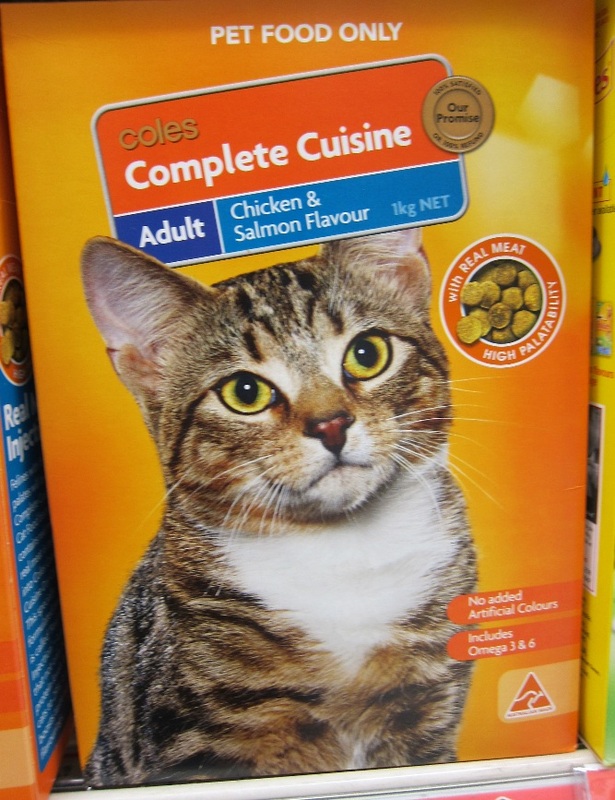 Aldi also stocks their own brand of premium wet food. 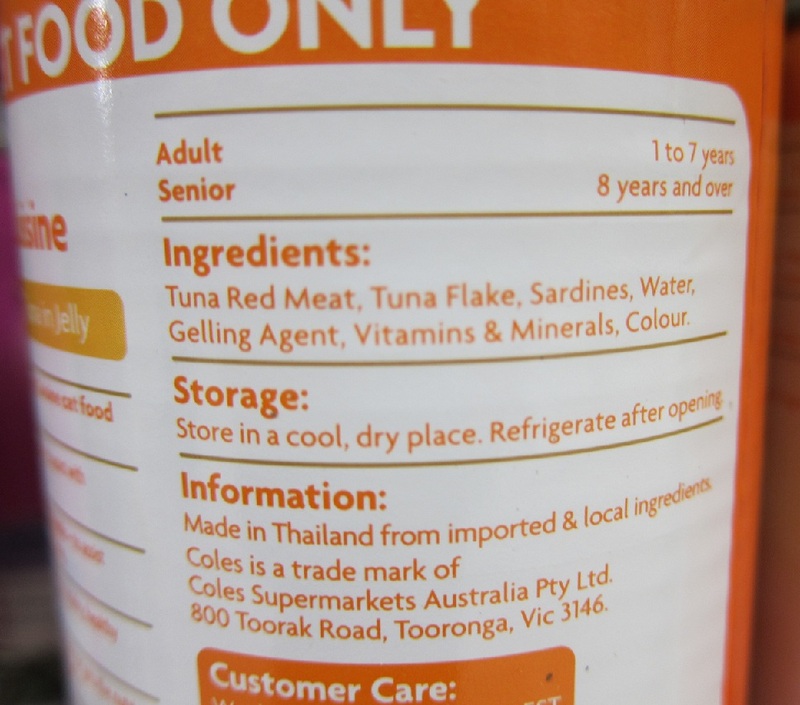 The ingredient list and meat actually look quite good, but there is far too much gel filler in the cans. 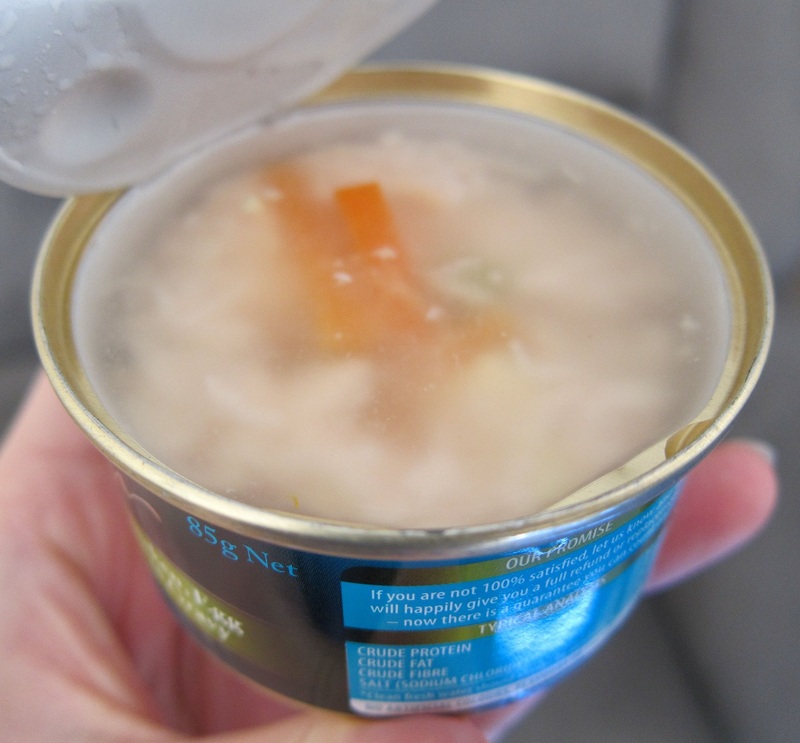 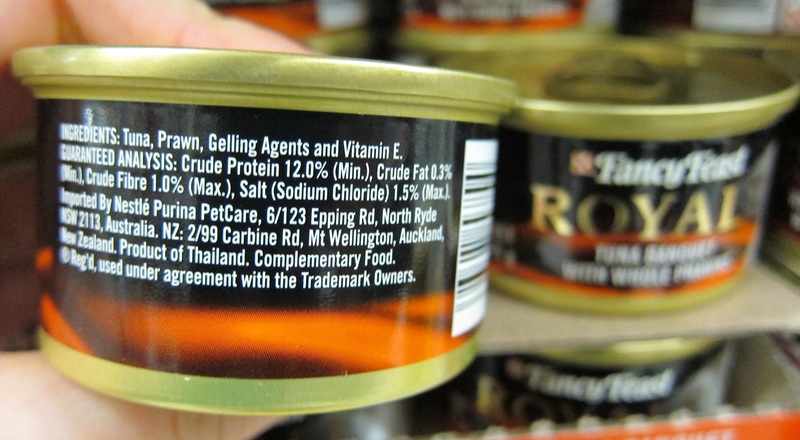 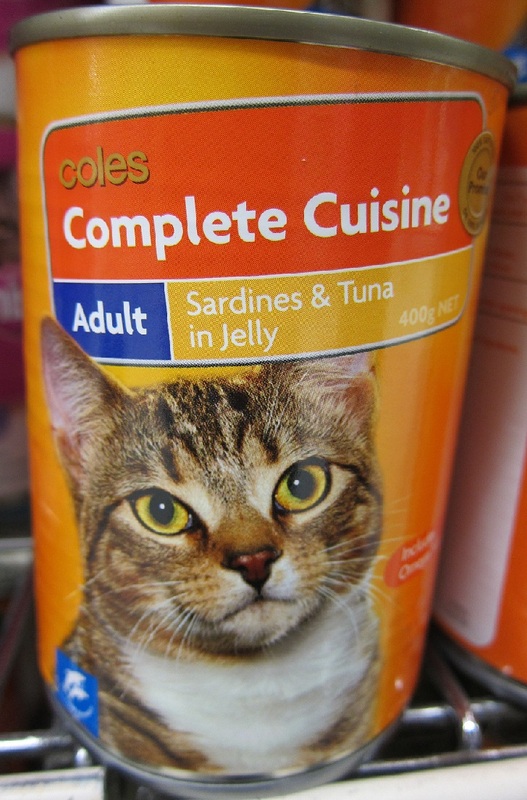 When you open these food cans, the wet food falls out in a shape which is a perfect replica of the can, completely stiff from being caked within this gel. 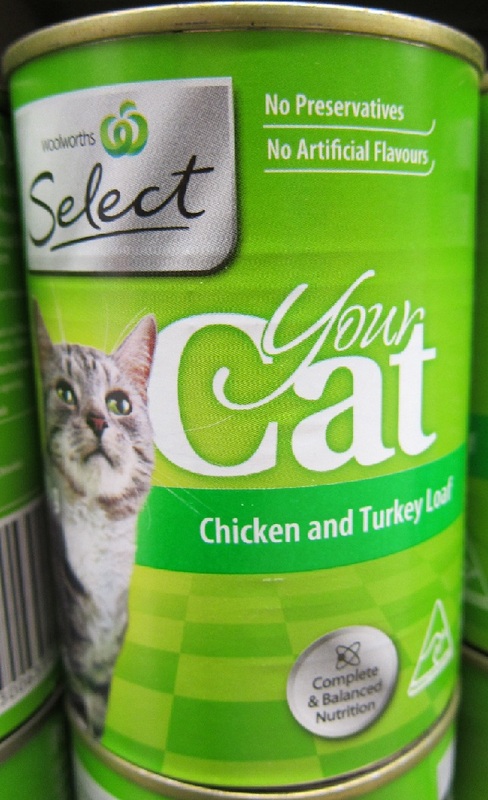 The cat didn’t like this, and neither did we. 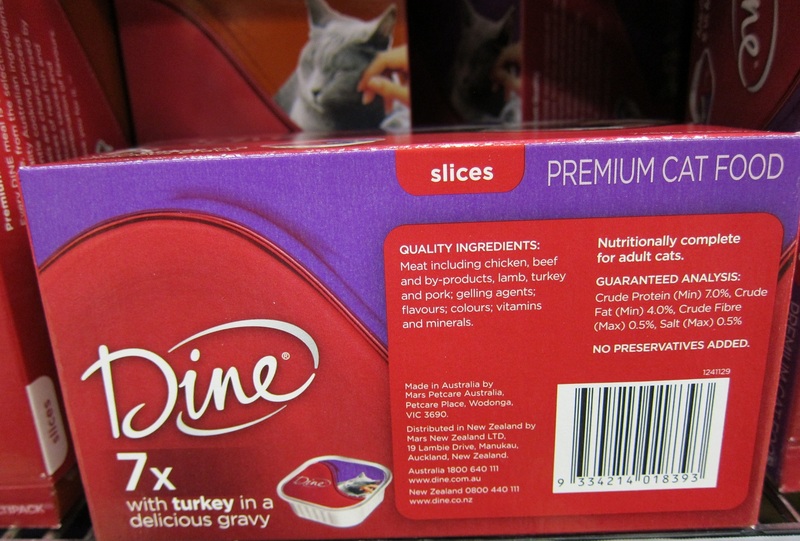 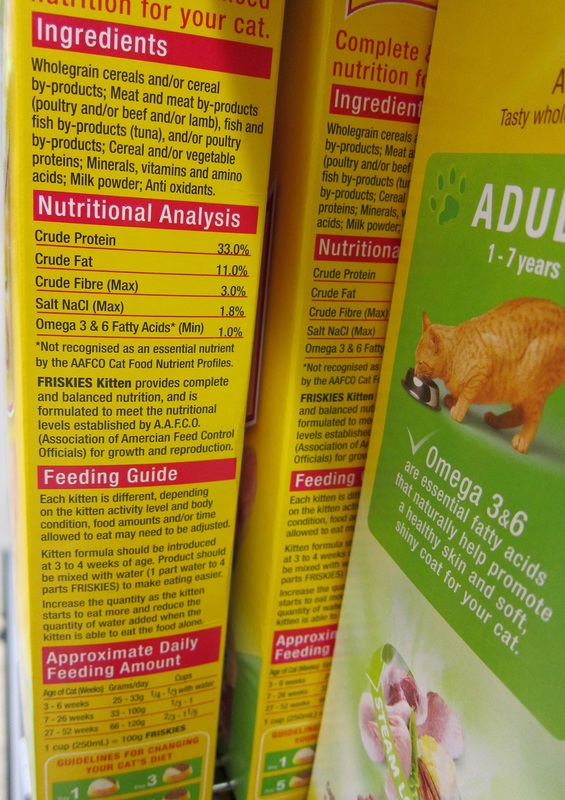 Finally, a list of cat food labels from two local supermarkets. 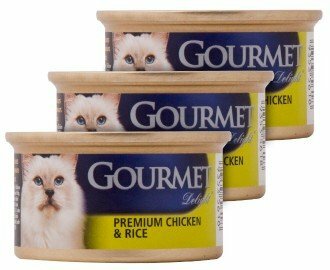 I have listed these in the order I would purchase them, from most likely to least. 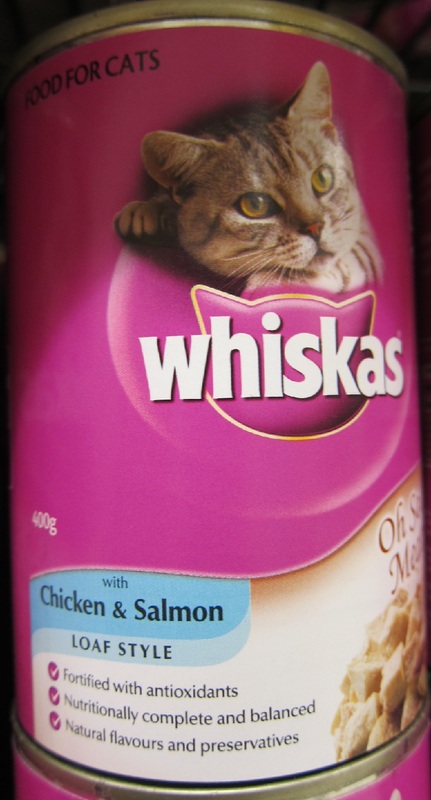 So the better brands would be found near the top of the list, while the worse ones would be near the end. 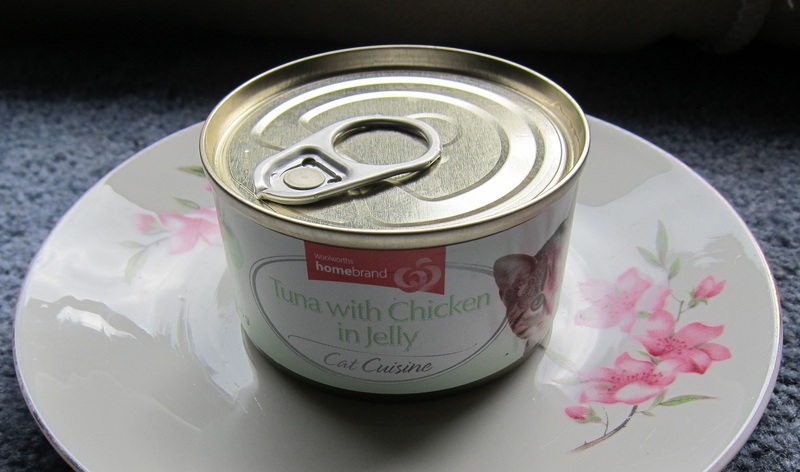 This variety of food is usually found in cans or pouches, and it usually contains better meat ingredients than dry food. 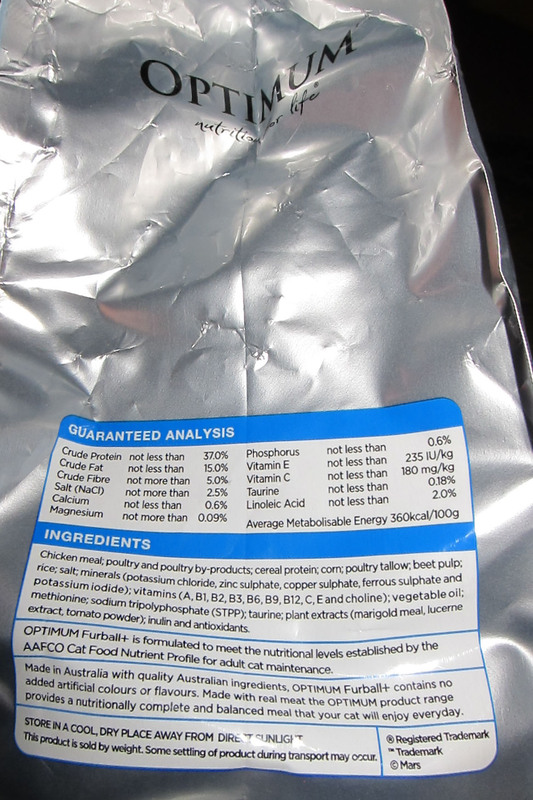 Even though the protein content appears lower in comparison, this is mostly due to moist versus dry matter values. 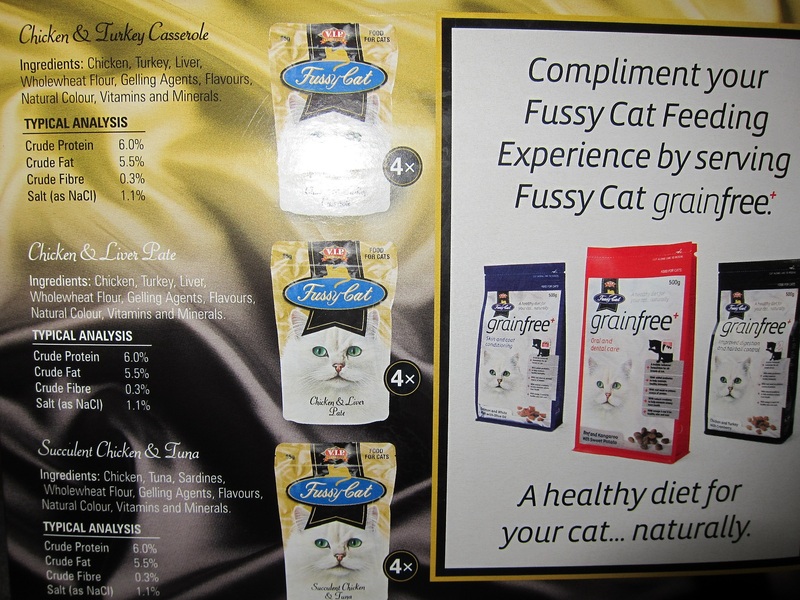 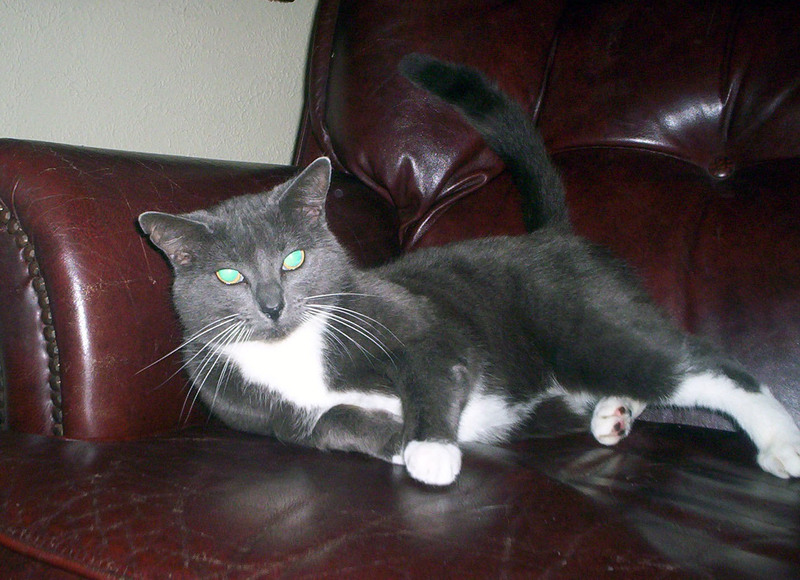 Dry food is very convenient as it does not spoil easily, is cheap, and has a long shelf life. 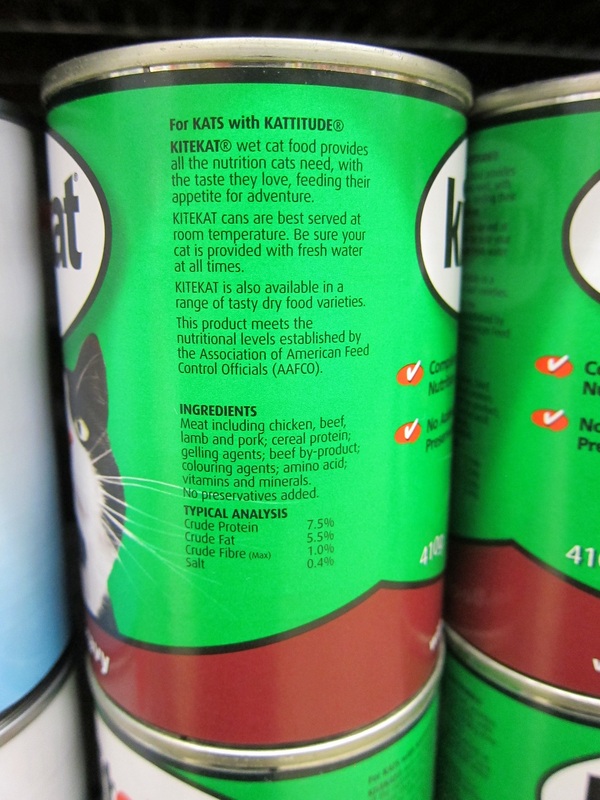 The ingredients in this food are often inferior to wet foods, and most supermarket brands of dry food are quite bad. 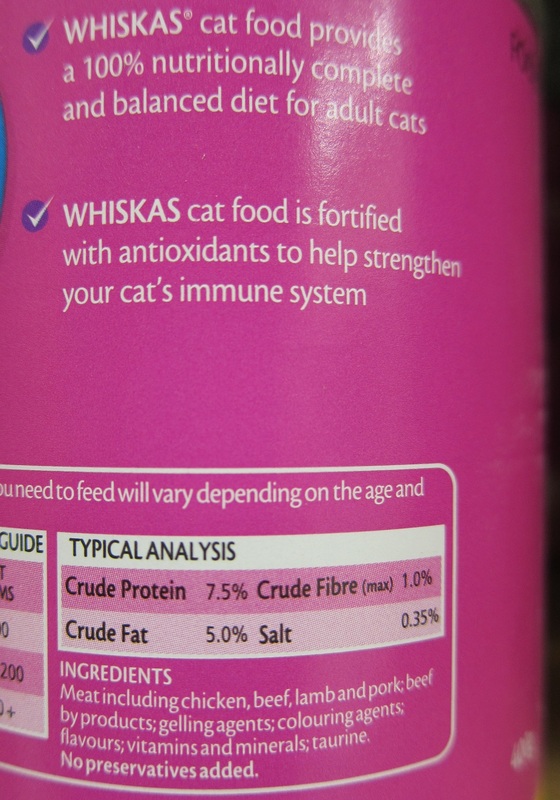 Some cats like to chew on these kibbles though, and they are still 'nutritionally balanced'. 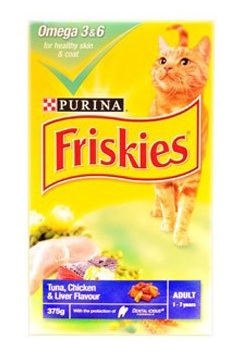 We provide dry biscuits along with regular meals of wet food.